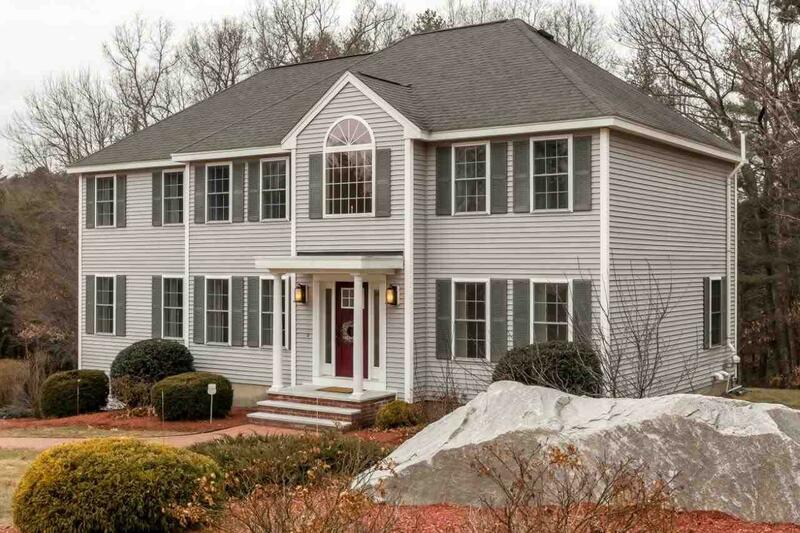 Classic Garrison Colonial in popular Whig Hill Estates! Framed by lovely landscaping and privately sited on 1.5 acre lot, this light filled, solid home offers lots of potential for the growing family. 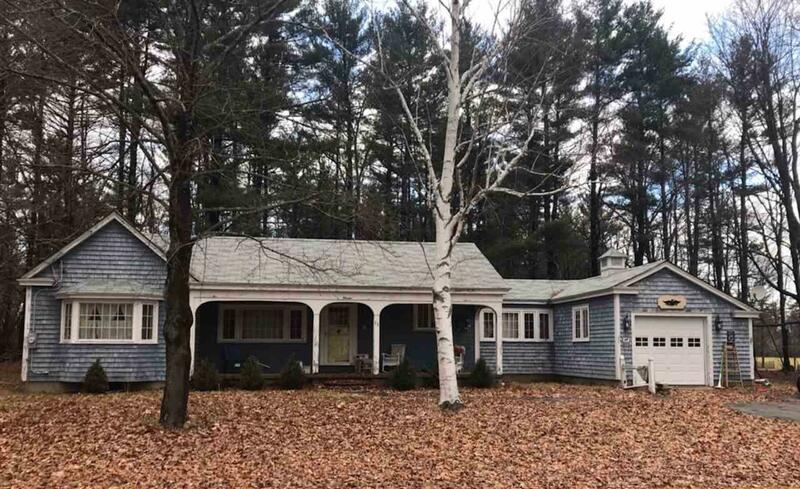 Eat-in kitchen, sunny front to back living room with wood burning fireplace, separate dining room, natural woodwork, master bedroom with a full bath, 2 additional bedrooms on the 2nd floor and family bath w/double vanities. 3rd floor walk up attic that offers future expansion possibilities. Newer roof and heating system. 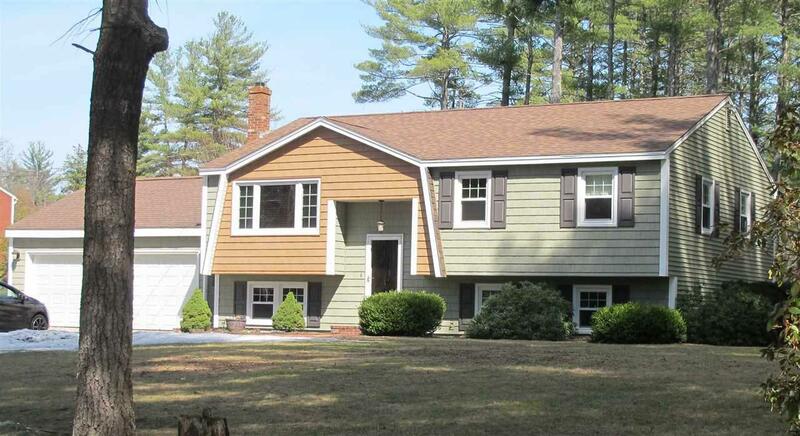 Expansive 24x24 screened porch w/cathedral ceiling, 3 car garage w/walk up storage. Great opportunity to add updates and personal touches to make it your own and build the equity that you are looking for. Possibilities & potential! Antique center chimney colonial currently set up as a two family in need of major rehab. Many original features including fireplaces, hardwood & classic appointments. Live in the 2nd floor apartment while tackling the renovation. Newer roof, vinyl siding and some updated systems. Full walk up attic with expansion potential as well. 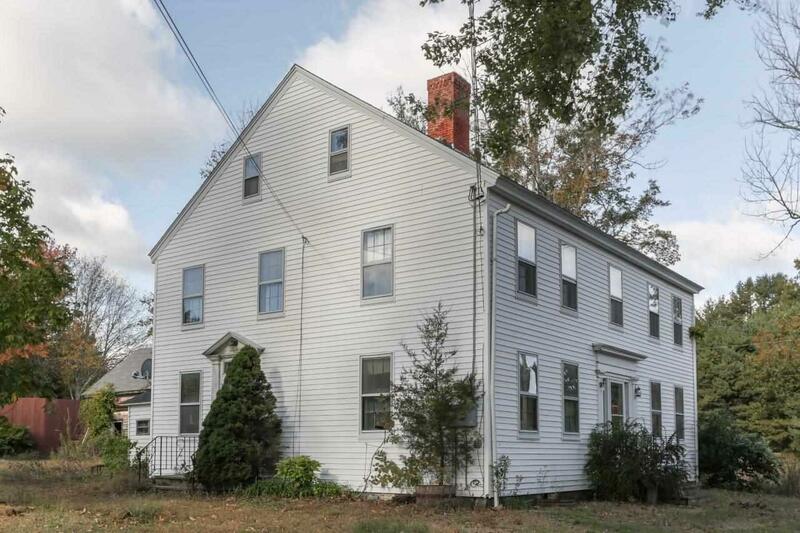 This classic colonial could be converted back to single family depending on your vision & need. Large newly renovated 54X76 commercial barn tucked in the back for vehicle and/or boat storage. 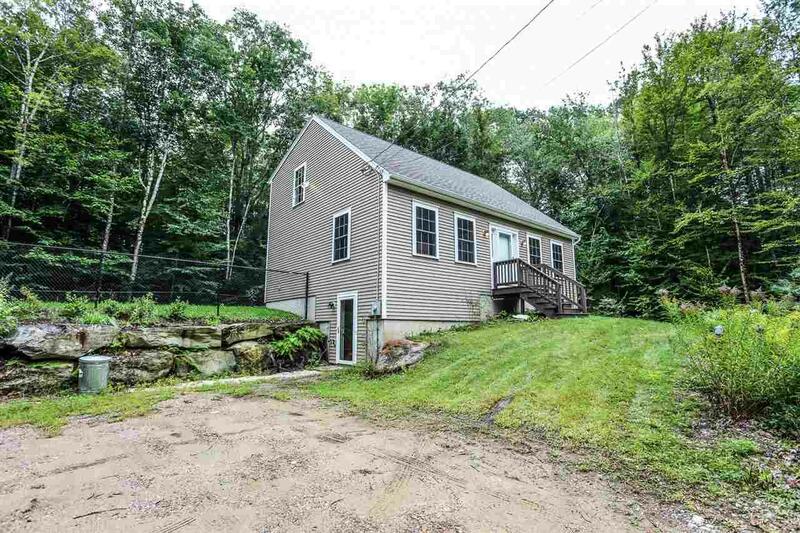 Separate detached garage. Both buildings have power & separate meter. Privacy fencing shielding out building. Generous lot with mature landscaping awaiting new owners. Unique opportunity. Check out this meticulously maintained, like-new, 2/3 Bedroom, 1.5 bath townhouse that is nestled in a small association. No detail has been missed from the bamboo flooring, to the tankless hot water heater. You won't find another unit that has been as well cared for as this one. 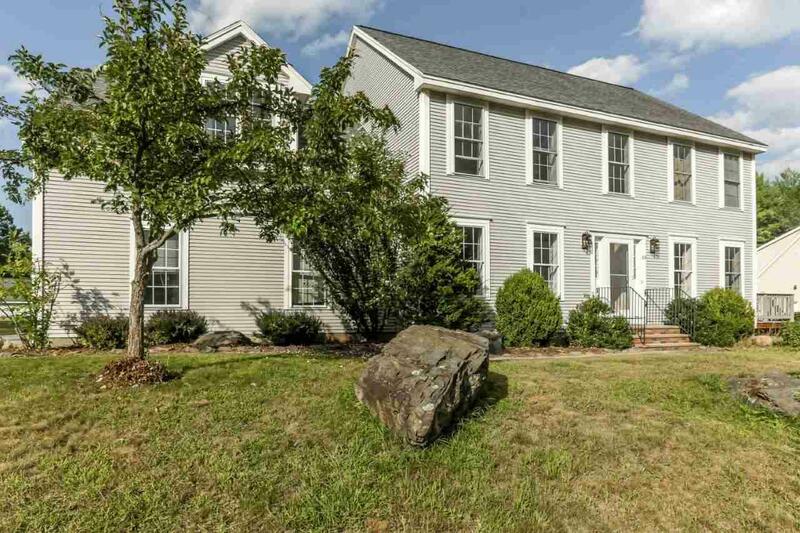 This home is move in ready, and is within walking distance to downtown Dover's restaurants, shops, and local events, but also allows for a quiet neighborhood setting. This association has low condo fees, and pets and rentals are allowed. Easy access to commuter routes (Rt. 16, Rt. 4, Rt. 9) too. Pretty & private! 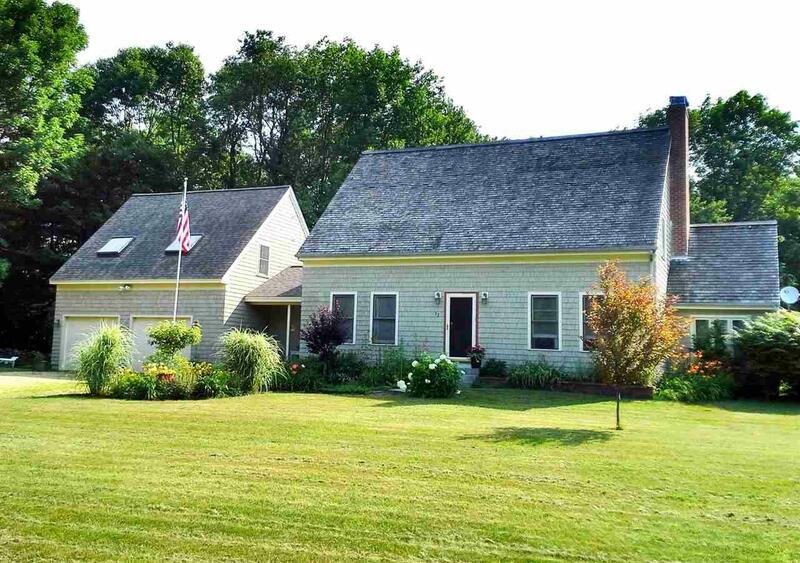 Picture perfect gambrel tucked back country lot framed by lovely landscaping. Enjoy evening meals & peaceful views of nature from the expansive covered porch. Light & bright kitchen with pantry & laundry area open to dining area & LR with hearth & pellet stove, updated family bath & 3rd bedroom/office on the 1st floor, master & 2nd bedroom on the 2nd floor, pergo/laminate flooring throughout, LL family rm/rec room with gas fireplace & separate workshop area. 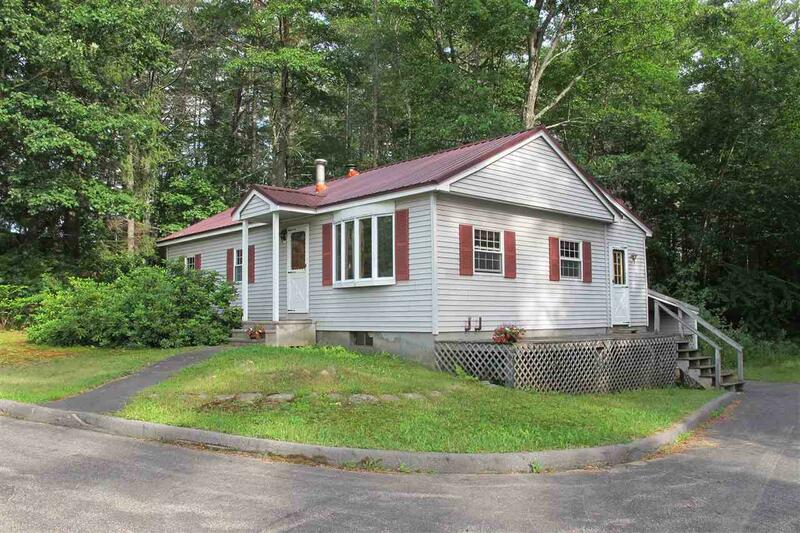 Very well maintained with efficient propane heat, pellet stove, 4 yr old roof & septic is only 2 years old. This wonderful family home is sited to bring the outdoors in - great for entertaining, child & pet play, gardening or just peaceful enjoyment. 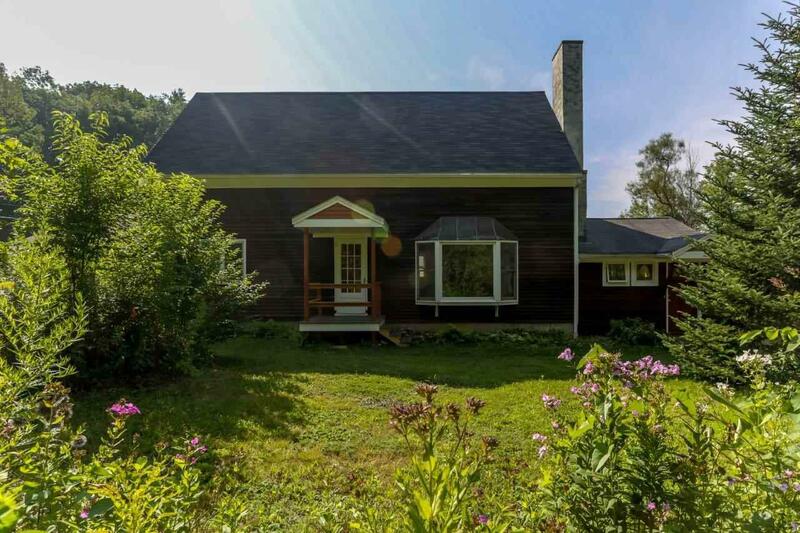 Located in popular Beaver Dam Estates with nature trails & access to the Isinglass. 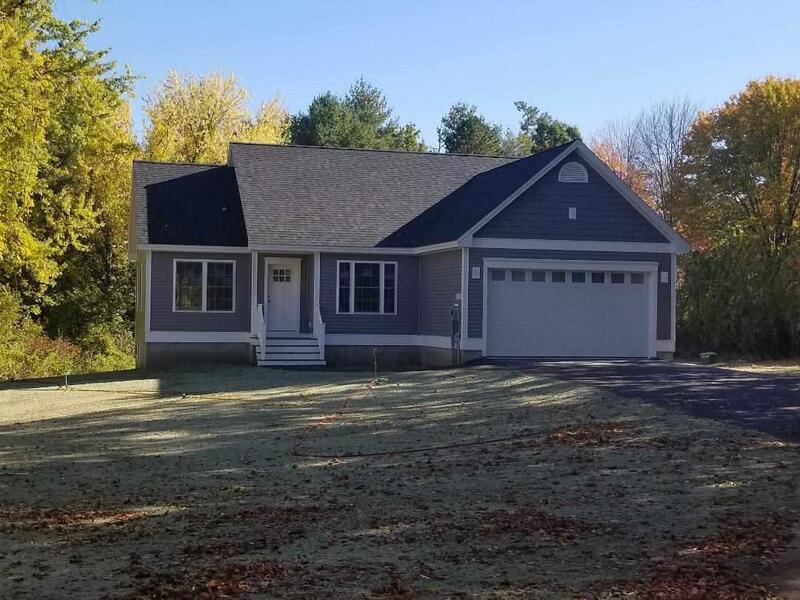 Enjoy all of the amenities living in Strafford with desirable school system & town access to Bow Lake just minutes away. Welcome home! 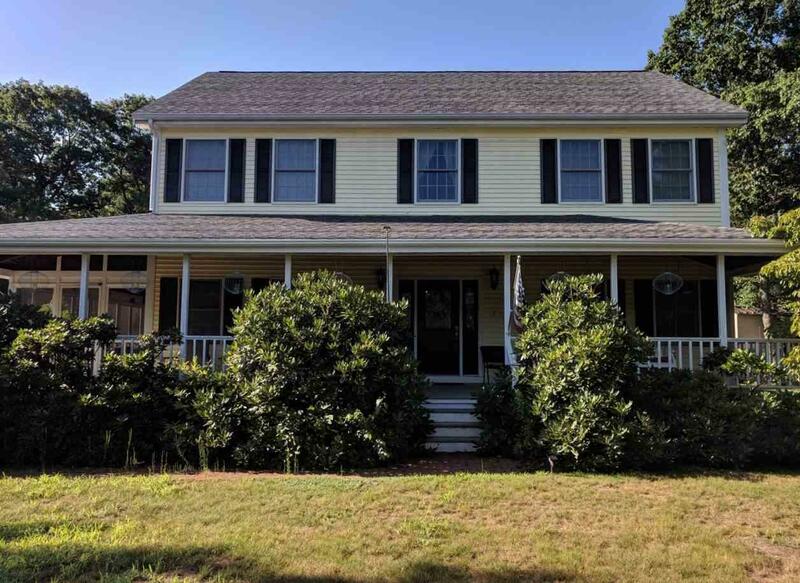 3+ bedroom 1.75 bath 09â€™ fully dormered cape on over 2 acres, hidden completely from the road in a quiet, cul-de-sac neighborhood with little to no traffic and backing up to the Isinglass River. Fenced yard, new whole house automatic generator, on-demand hot water heater/boiler, fully finished lower level adding an extra office and a 2nd family room. This property is literally turn-key and ready for it's new owners, nothing but pride of ownership here. Classic Colonial with awesome in-law apartment framed by lush landscaping in desirable Bayberry Estates. This light filled home was truly built with ALL of the family in mind: formal & informal spaces for work, play, family living & entertaining. Boasting classic appointments, built-ins, hardwood flrs & 4260+sq. ft. of living space. Lovely front to back LR/DR, DR/sitting room, generous kitchen filled with cabinetry, oversized center island, double ovens & the hub of the home, expansive FR w/vaulted ceiling, walls of windows & built-ins, gas FP & sliders to deck overlooking gorgeous backyard:2 sets of stairs to 2nd flr, 2 master suites w/baths & walk in closets, 2 additional bedrooms, full bath, laundry rm & office on the second floor including great attic storage; LL is also incredible, tiled FR/rec room with woodstove & hearth & sliders to charming patio, 2nd laundry room, spacious & clean workshop area & 1/2 bath and additional unfinished space & walk out. * Fantastic separate in-law has private entrance w/ hardwood floors, LR/kitchenette combo with more built-ins, bedroom & full bath and also abuts the FR. 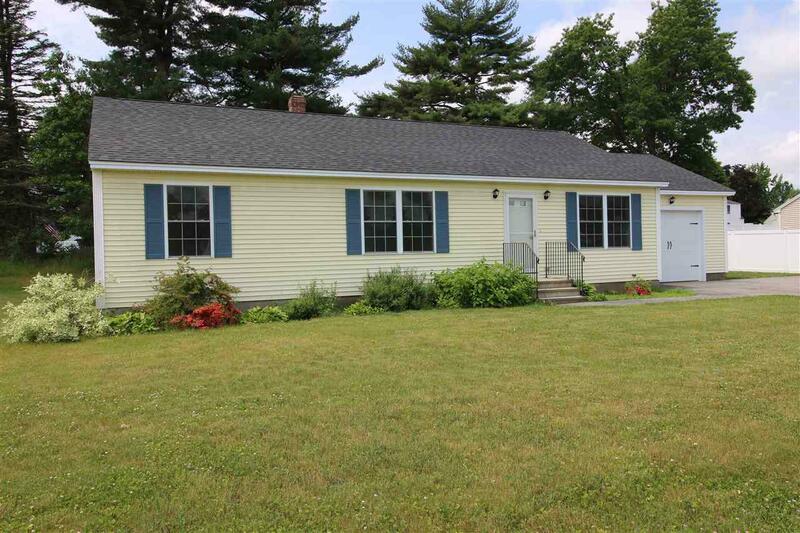 Well maintained w/efficient propane heat & central air. * Beautiful "park-like" backyard filled with flowering shrubs, gardens, charming bridge, patio & deck for birdwatching & peaceful views. The versatility and space are unmatched and what a wonderful opportunity to add your personal taste. Wonderful location for all commutes and popular Exeter schools. Welcome Home! 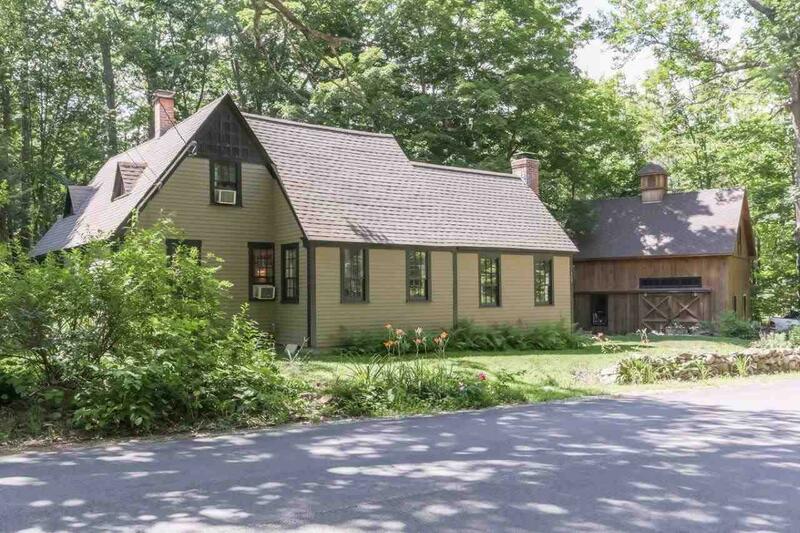 Quaint New England victorian cape with beautiful mountain views and private, level, wooded back yard. 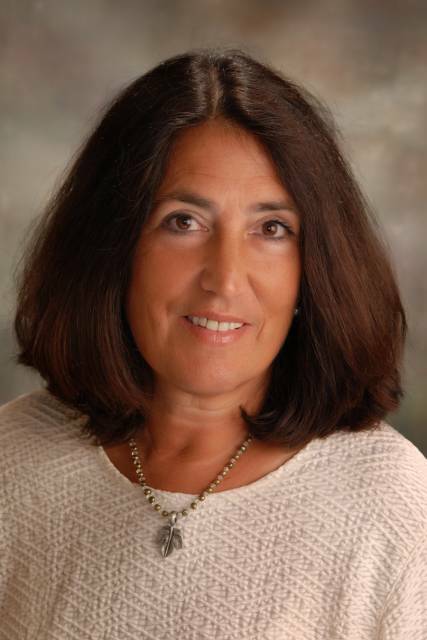 Opportunities abound as a multi-family property. The main house has a large kitchen, spacious living room with a brick fireplace, sunroom and first floor master bedroom and bath. Cosmetics needed, great potential. Conveniently located with a short drive to shopping, schools and public beach. If its privacy you are looking for, look no further! Custom contemporary style home tucked back on 11 acres with open land, woods & trails & out buildings that offer so many possibilities. You will feel like you are vacationing in a country resort the minute you enter the stone wraparound porch. Brimming with character & custom features, this welcoming open concept home boasts spacious eat-in country kitchen w/painted cabinetry, island, center chimney w/woodstove, recessed lighting, ss appliances & tin backsplash, LR with pine vaulted ceilings, skylights, hardwood, 2nd woodstove in center chimney, & open to 2nd floor & expansive sunroom with walls of glass afforded by 4 sets of atrium doors that lead to wraparound deck, 1st floor master bedroom w/ hardwood, vaulted ceiling, charming corner gas fireplace that offers ambiance & heat, turret space for reading, wall of closets including walkin; 1st floor full bathroom w/ double vanities, tile & laundry area; 2nd floor boasts 2 additional bedrooms, guest room/office & cheery 3/4 bath w/ tile, LL basement area w/plenty of room for storage & expansion. Custom appointments throughout, well maintained with many updates. Wonderful acreage offers space for recreational fun, animals, garden & play space & oubuildings including detached 2 car garage, & barn for animals, & separate building for vehicle & equipment storage & potential work space. 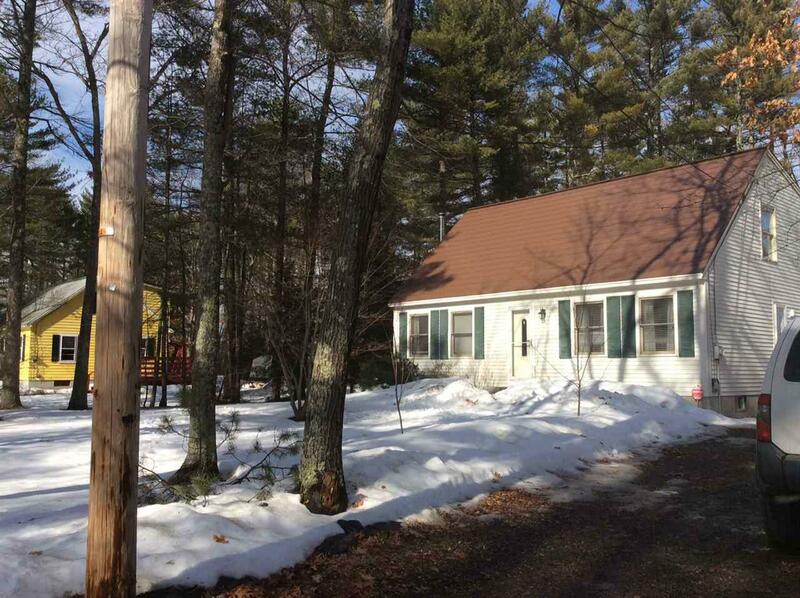 Comfortable country living with lots of versatility & space & yet great commutable location. Let the sunshine in! 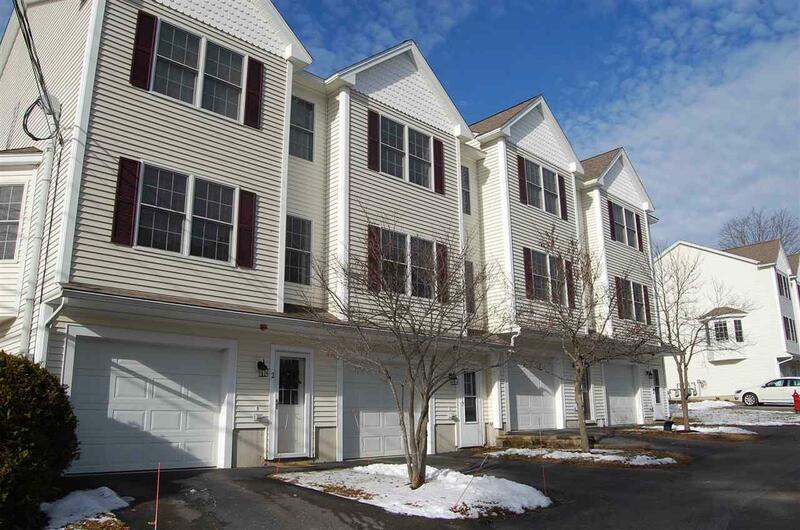 Absolutely lovely contemporary ranch style condo in desirable Sewall Farms! 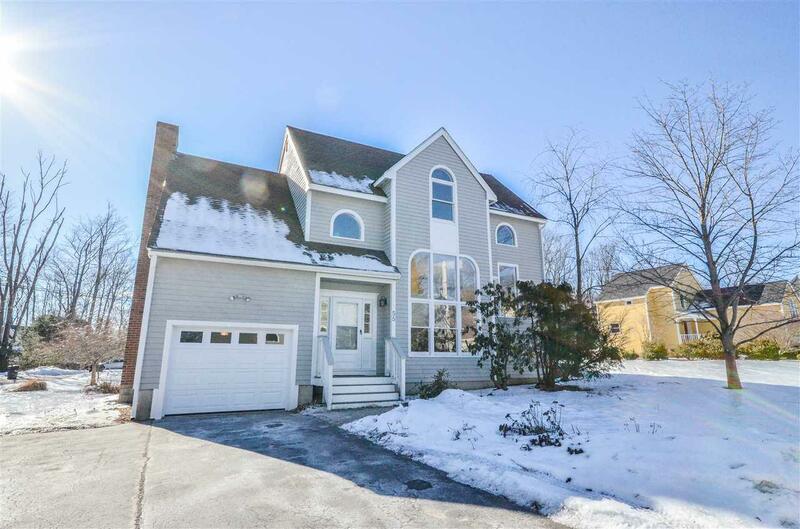 Beautifully appointed with open concept floorplan, hardwood floors throughout, crown molding, triple windows & enjoyment of the outdoors from the deck overlooking the private woods, the patio and the welcoming front porch. From the moment you enter the foyer you will just love the space, sleek maple kitchen with breakfast bar, separate but open dining area open to LR w/ gas FP & sliders to deck, master suite with double closets and updated master bath w/custom tile shower, double vanity & skylight,convenient tiled 1/2 bath & first floor laundry. The walkout & daylight LL boasts more space for family living & guests... FR has 2nd gas FP & sliders to patio area, two generous additional bedrooms, tiled full bath & separate utility room for more storage. Meticulously maintained with central air, wired for generator and radon mitigation in place. With over 2200 sq ft of living, you will be able to enjoy the benefits & amenities of easy one floor living without giving up space & function. This lovely end unit is perfectly sited with pretty & private views of woods & endless birdwatching and part of a popular community. Truly a pleasure to show! 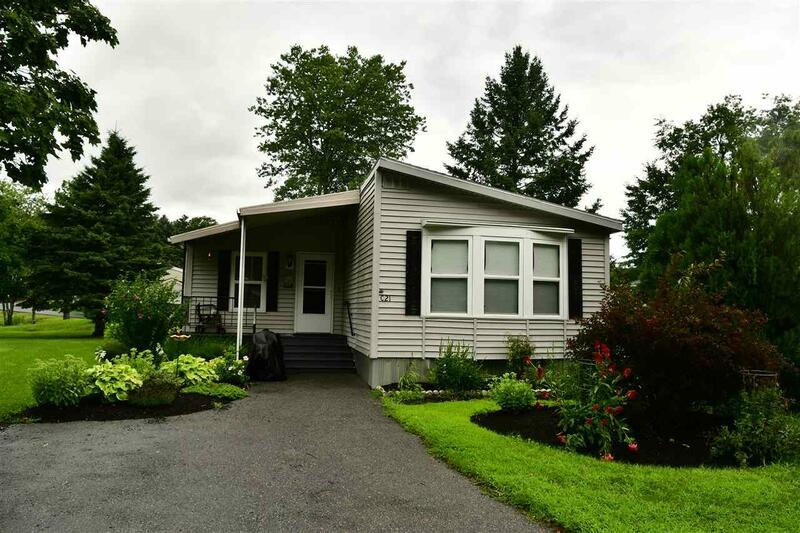 This beautifully landscaped, open concept, double wide, manufactured home is ready for immediate occupancy in this 55+ Pine & Pond Community. The roof is 8 years old, furnace new in 2017, washer/dryer new 2016, ceiling fans new between 2014-16, new carpeting in sunroom, flooring newer in kitchen, hallway, and laundry room. Plenty of interior space for storage or crafts. Enjoy outdoor time on your covered porch or the deck with a water view. Deck also features a handicap ramp. All roads have been newly paved. Welcome to Wind Chime Farm! 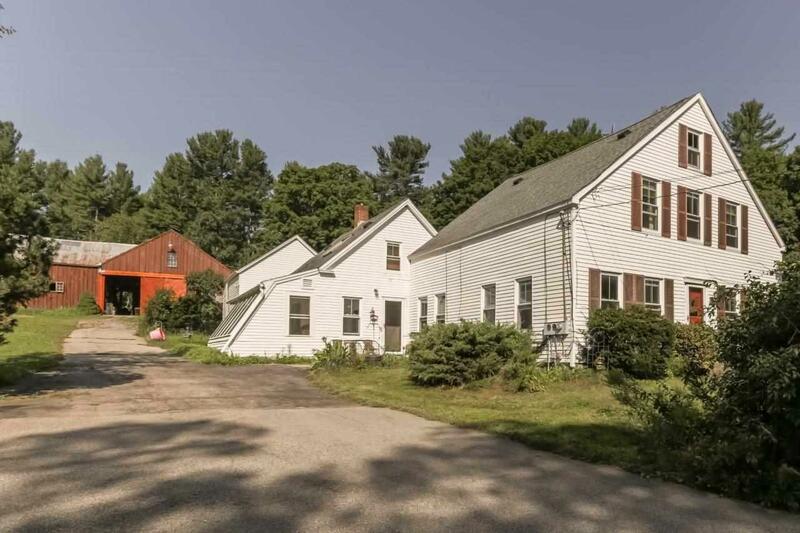 Spacious & sprawling farmhouse perfectly sited on 5.5 country acres with historic 30x50 post & beam barn, open pasture, paddock area, mature landscaping, perennial gardens & framed by stonewalls & woods. 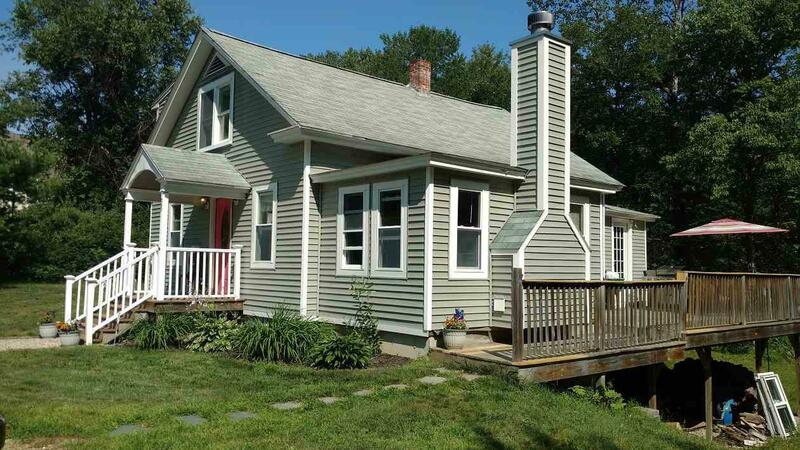 This New Englander boasts a versatile floorplan with lots of rooms to accommodate work & play and family living. Country kitchen w/dining area, slate floors & cozy pellet stove, LR with charming cobblestone fireplace w/woodstove insert, built-ins, hardwood & pine floors, 4-5 bedrooms, generous rooms,mudroom, greenhouse, separate entrances and spaces for future in-law, former pet grooming area offers potential for in-home business. Lots of possibilities & potential here and wonderful opportunity to build equity. The main portion of this fabulous barn was built in 1760, & has electric & water, 5 stalls that vary in size, 2 run in sheds, loft areas, tack room, grain/storage area & matted floors. Connected but separate paddock areas, this offers a wonderful set-up for limited horse & animal boarding. 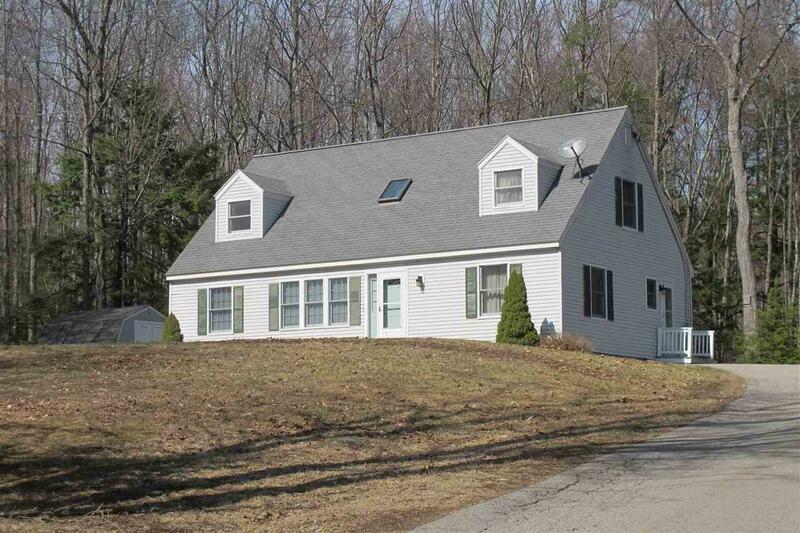 Great location in popular Lee, Oyster River School system and just minutes to UNH. Bring the Horses, bring the family! Welcome to easy living! Absolutely Adorable bungalow custom built in 2010, boasts charm, comfort & efficiency. Open concept with oversized windows, hardwood & tile floors, sharp kitchen with natural cherry cabinetry & soapstone counters, fully applianced, efficient laundry area, 2 bedrooms, full bath with tile, pocket doors, radiant heat, central vac and more. Bonus room on the second floor that is accessed from the exterior stairs for great storage and/or future expansion. Full basement with all the utilities and lots of space for more storage & workspace. Enjoy evening meals or morning coffee on the generous farmers porch. 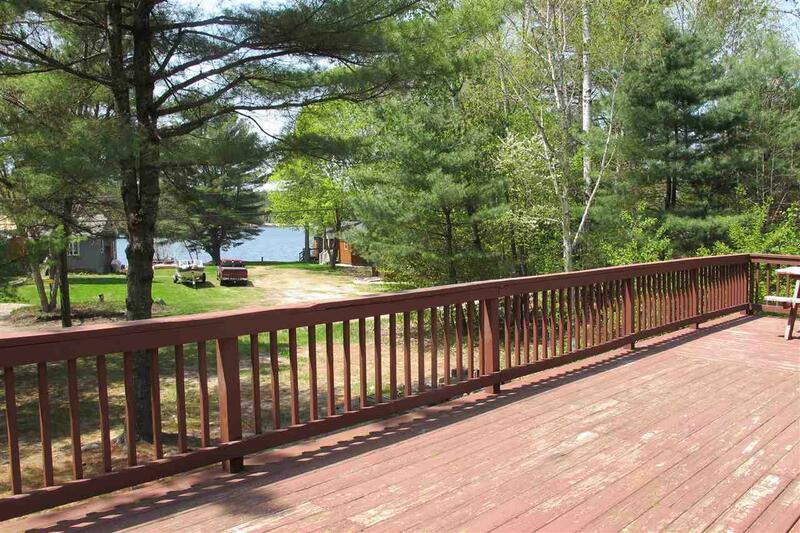 Deeded ROW to Swains' Lake across the street for year round enjoyment of lake living. Detached shed for more storage. Well built and well maintained, just waiting for new owners. Thinking of a condo or simplified living - this may be the place for you. This beautifully maintained 3 bedroom house offers stunning mountain views! Enjoy a cup of coffee and watch the sunrise from your screened in porch. The beautiful trees, barns, greenhouses, and well-maintained yard makes this the perfect outdoor space. This property is a vegetable gardener's dream and a snowmobilers' paradise. The pride in ownership really shines through this home. Other features include a fireplace, wood stove, wood cabinets, first floor master suite and laundry, and a workshop in the walkout basement. Many lakes and mountains nearby to enjoy swimming, hiking, and other outdoor activities. 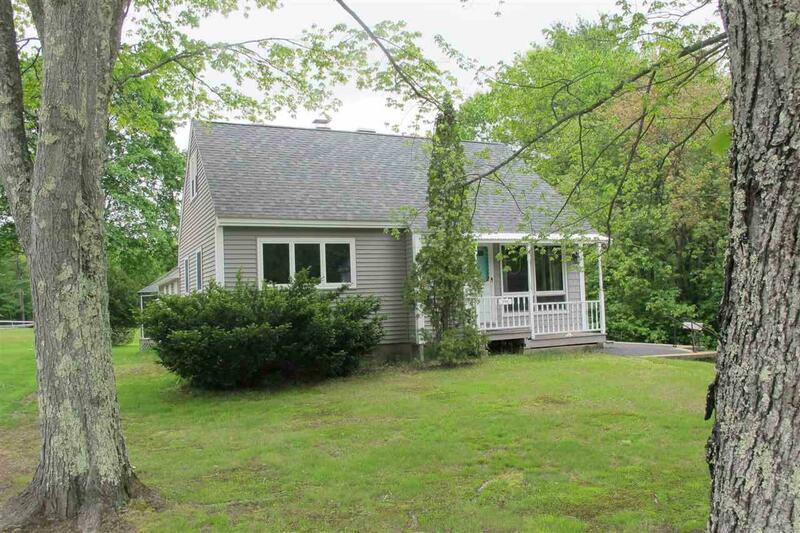 Easy access to Route 16 while still feeling private and peaceful. Easily commute to Portsmouth, Concord, North Conway, and Portland, ME. Home has been pre-inspected. 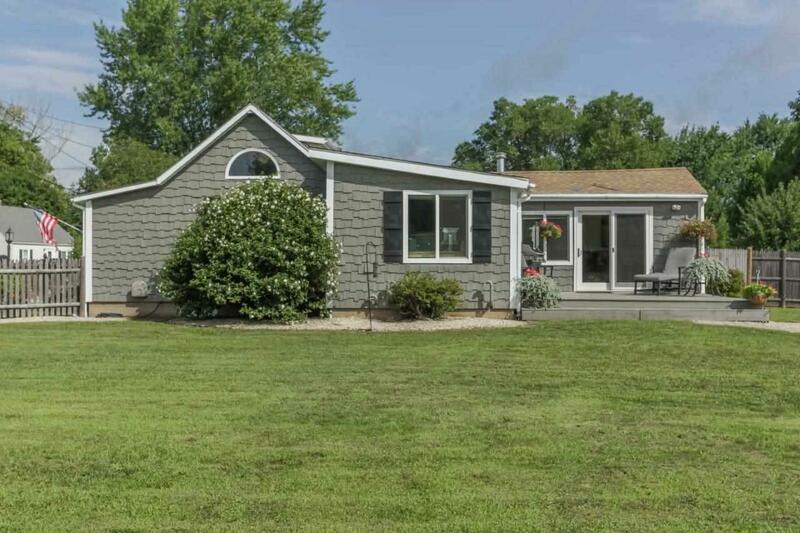 Charming ranch perfectly sited on country lot framed by lovely landscaping, fruit trees and fencing. This lovely open concept is filled with natural light, spacious LR and dining area with vaulted ceilings, sliders to expansive deck overlooking fabulous backyard, efficient kitchen with island, laundry/mudroom area, master bedroom w/walk in closet & private 3/4 master bath, 2 additional bedrooms & family bath, hardwood & pergo floors, spacious LL playroom has great potential and centrally located woodstove for those chilly nights; great storage workshop area as well. Natural gas utilities, central vac and more. 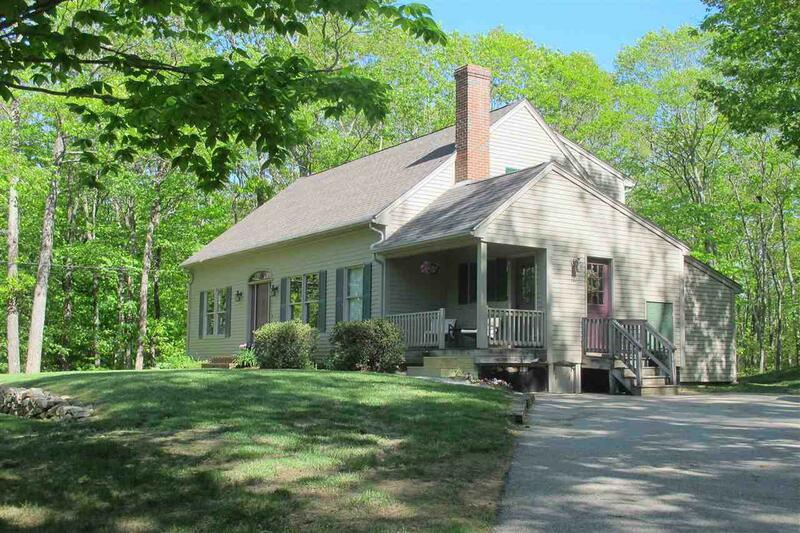 You will enjoy morning coffee on the farmers porch or entertaining on the back deck. The backyard is fenced for childplay and pets - wonderful space for play, gardening, family gatherings or just peaceful enjoyment. Just in time to pick apples from the plentiful tree. Great location in Gonic, close to all major routes. Welcome Home! Let the sunshine in! 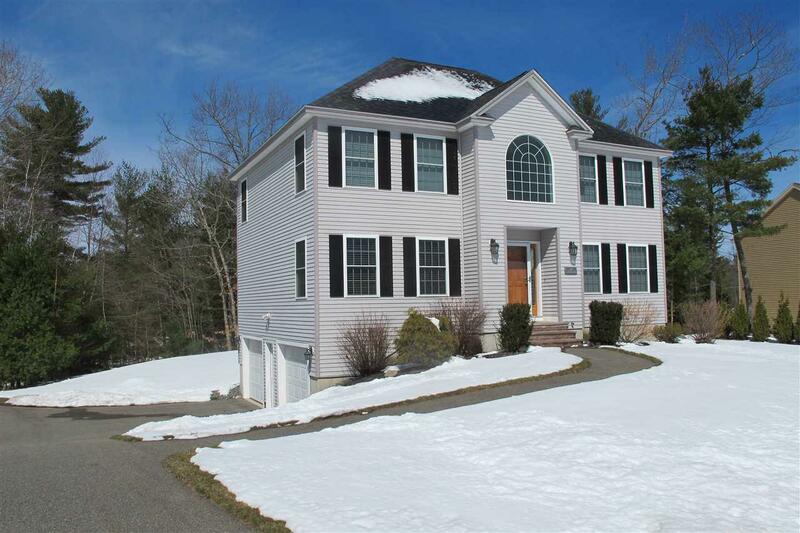 Custom Contemporary Cape perfectly sited on lovely 2.48 acre lot in desirable neighborhood. This home was designed and is offered by original owners boasting a truly open concept floorplan filled with natural light. Walls of windows, exposed beams & custom pine ceilings, expansive kitchen filled with cabinetry, oversized center island w/cooktop, double ovens & breakfast bar, computer nook to check the latest recipes that would please any cook; sunken LR w/sliders to backyard deck & door to fabulous screened porch w/cathedral ceilings & spot for a tv for summer nights; welcoming mudroom, updated 3/4 bath on the 1st floor, handsome open staircase to the 2nd floor w/master & 2 additional bedrooms & family bath; LL offers great space w/generous office/rec room, separate laundry room, walk in pantry & workshop for the weekend warrior & woodstove hook up for alternate heat. Charming garden shed/playhouse, 10x25 deck, screened porch, utility shed, covered storage & great yard the list goes on. Well maintained w/attention to detail featuring wonderful indoor & outdoor spaces for family living, playing & entertaining. Welcome Home! Take a relaxing journey to Indian Ridge at Dover; a quaint cul-de-sac neighborhood surrounded by 45 acres of open space with walking trails. This spacious 1604 sq ft home offers plenty of space for all to enjoy. Hosting family gatherings is a breeze with the open layout. Looking for a first floor master? We've got it here along with a huge walk-in closet and private 3/4 bath.Two other nice sized bedrooms (that can be also used as a great office space) are spaced out very nicely on this main floor. A big and cozy family room, dining area, large kitchen, laundry room, and full jack and jill bath complete the first level. With central ac, and a craftsman style trim package, this home is sure to meet everything on your wish list! Room sizes are approximate. 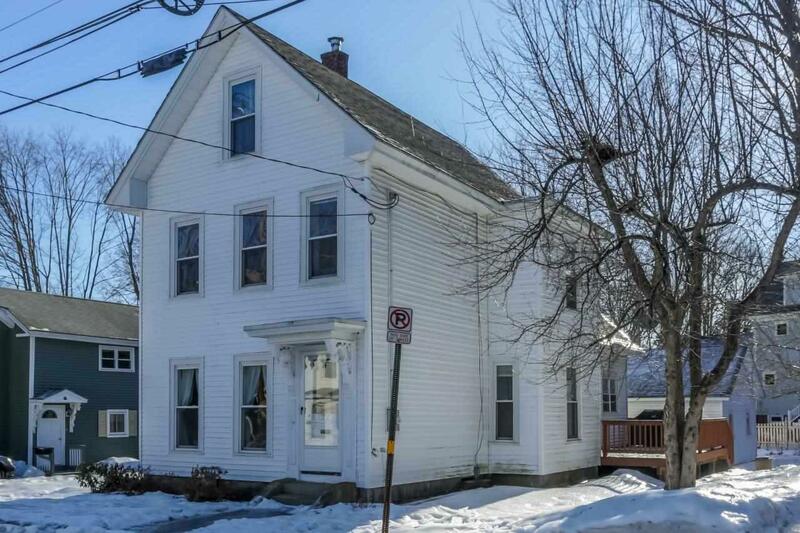 This 3BR/2BA house in Rochester is the perfect spot for raising a family. Easily immerse yourself in everything the Seacoast has to offer with easy access to major highways and all of the dining and entertainment you could think of. Inside, enjoy the open layout concept as you walk from room to room with ease. Show off your cooking skills in the beautiful kitchen, equipped with tile flooring and stainless steel appliances. Past the kitchen, put your feet up and enjoy your favorite glass of wine as you relax in the living room, finished off with beautiful hardwood flooring. To the right of the kitchen you'll notice the first of 3 bedrooms, all of which include carpeting and large closets for your entire wardrobe. Out back, master your grilling skills, watch the sunset, or read a book as you lounge on the spacious porch. Downstairs, the finished basement offers space for a media room, office, gym...the options are endless! 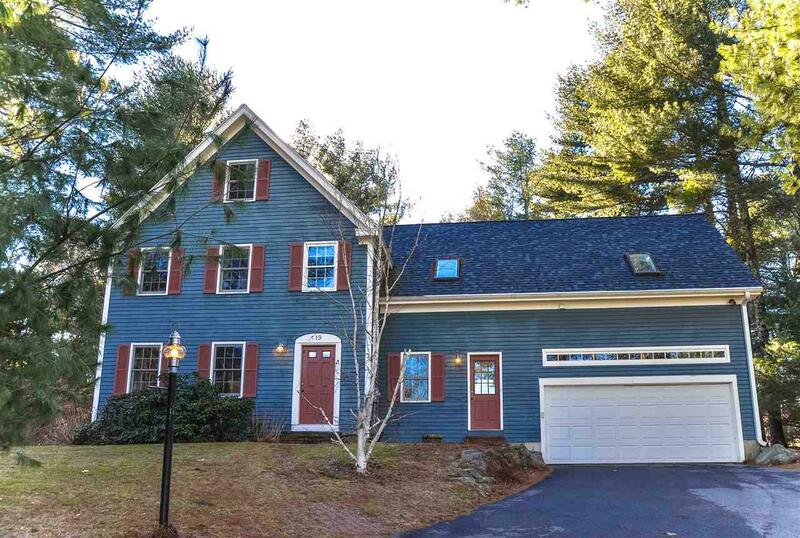 The attached 1-car garage will save you time from cleaning snow off your car in the winter, while a large backyard provides the perfect venue for entertaining and enjoying New England year-round. Back on the market due to buyers' financing. 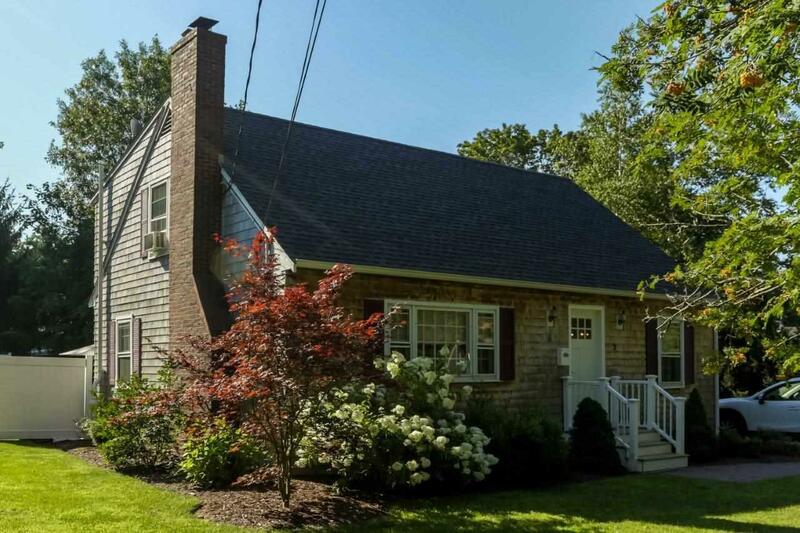 Charming classic cape framed by mature landscaping in established neighborhood. You will be surprised by the space and great flow of this wonderful home. Featuring hardwood floors throughout and generous rooms, country kitchen, adjoining family room with wood burning fireplace , built-ins & picture window overlooking private backyard, formal dining room, spacious living room, 1st floor laundry area & updated 1/2 bath, classic foyer with coat closet & hardwood staircase leading to the 2nd floor, front to back master, updated full bath & 2 additional bedrooms, basement lends itself to future playroom/rec room. 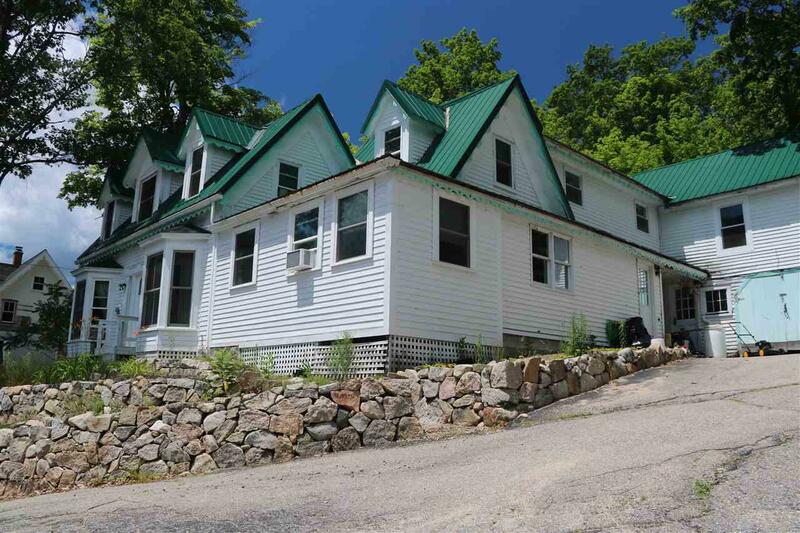 Many updates including new heating system, newer septic system & more. Enjoy the backyard & screened gazebo for summer nights. Oversized two car garage for vehicles and storage. * $2,000 allowance towards kitchen flooring. Truly a great home for family living & entertaining. Commuter friendly location. Welcome Home! House Beautiful! 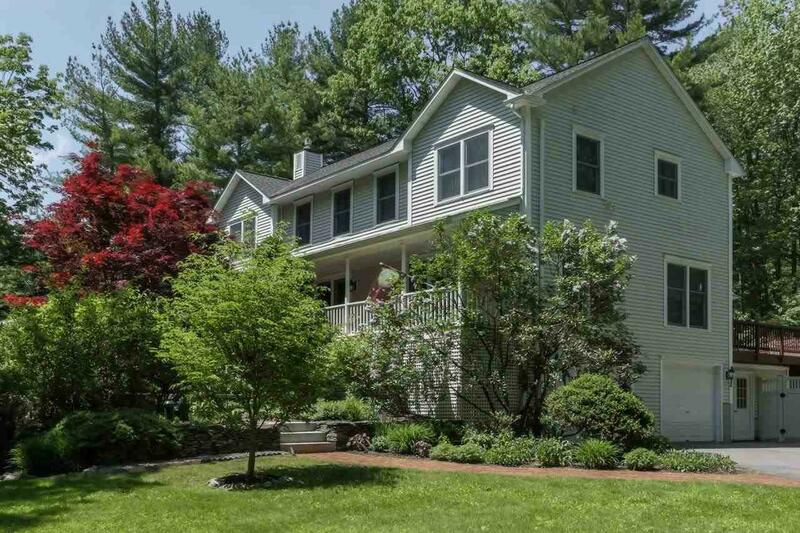 Classic colonial tucked back on lovely lot & framed by lush gardens & flowering trees. Truly designed for family living & entertaining offering inviting inside & outside spaces.Gorgeous newly remodeled kitchen brimming with cabinetry, granite counters, tile backsplash & breakfast bar seating & triple windows overlooking lovely yard, formal DR, hardwood, generous LR w/gas FP, french doors for privacy & light, 3 sets of atrium doors to expansive wrapround farmers porch, 1st floor office, lovely foyer & open staircase to 2nd flr, private master suite w/sitting area, updated master bath w/ soaking tub & steam shower, 3 additional bedrooms for family, guests or study, cheerful tiled full bath, envious 2nd floor laundry room, enormous full daylight basement for workshop & more expansion.Great pet friendly mudroom w/sink, cabinetry & dutch door leads to expansive double decks overlooking the fabulous backyard oasis: Custom 18x38 gunite saltwater heated pool encased by hardscaped patio area, party pool house w/ granite bar, teak counters, refrigerator, big screen TV, outdoor speakers, garden shed, flowering shrubs & landscaping encased by privacy fencing. Enjoy the hot tub after a long day or a cup of morning coffee on the rocking chair porch. Meticulously maintained boasting updated systems a newer 5 zone heating system, on demand hot water, 3 mini splits for AC/heat & whole house fans, auto generator, the list goes on. Exceptional property! One floor living at its finest! 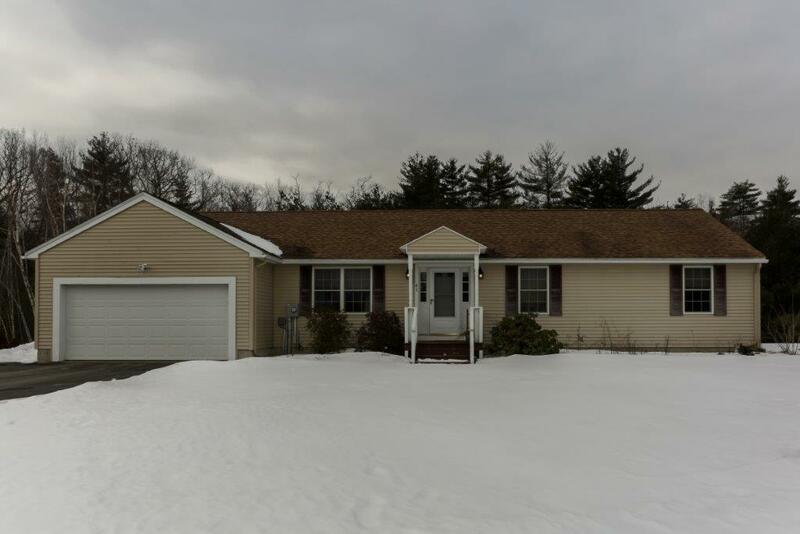 This well maintained three bed two bath ranch is situated on a .35 acre lot in one of Somersworth's most desirable neighborhoods. Plenty of storage in the one car garage or the large basement. Easy access to shopping and the highway. Don't miss out on this one! Highly desirable Folsom Acres 2 BR, 2.5 BA, 1663 sqft townhouse with a second floor hardwood master ensuite. 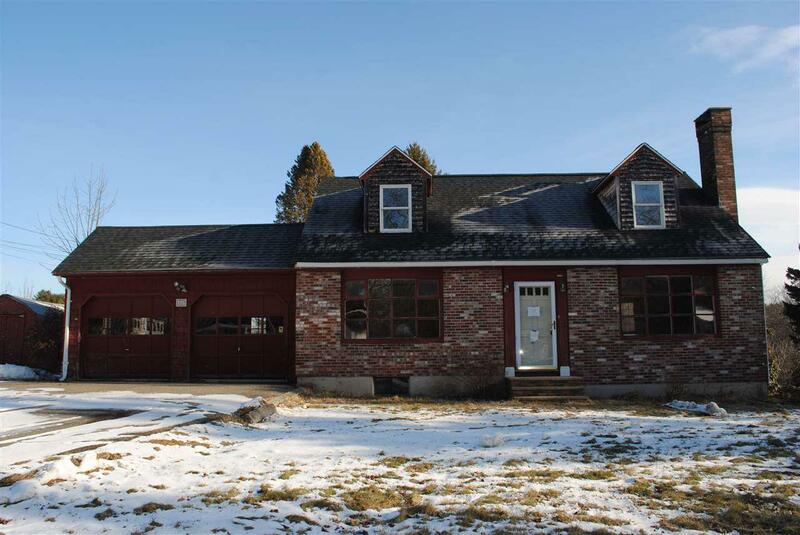 This home offers a tiled entry, vaulted ceilings in the main living area with skylights, a wood burning fireplace, custom wood features and beautiful hardwood floors. Other amenities include central AC & VAC, updated stainless appliances and a screen porch with a very private brick patio overlooking a serene and natural setting. A lovely way to enjoy the best of our New England spring, summer and fall weather! There is plenty of storage throughout this meticulously maintained unit with the comfort of a single family home and ease of condominium living. The full basement houses a heat and hot water system upgraded in 2016, an active radon mitigation system, a work bench, a security system (requires activation) and bulkhead access to the patio. 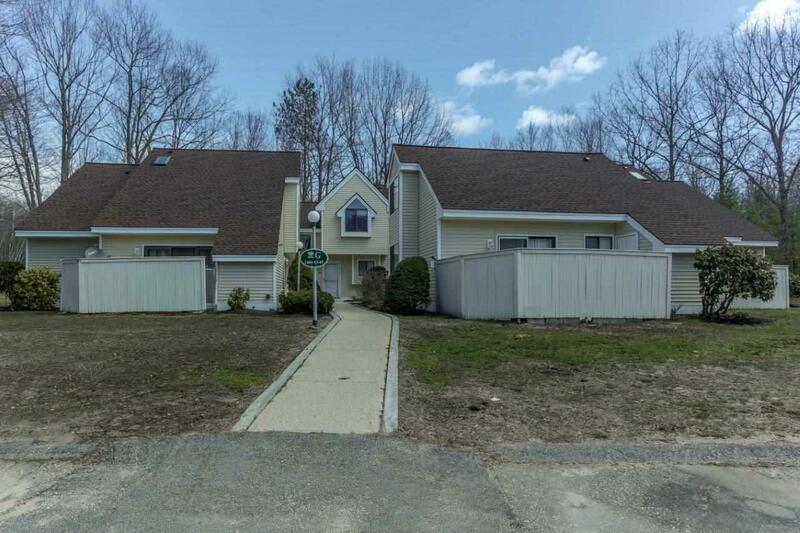 This is a pre-inspected home with an over sized two car garage and large dedicated driveway. 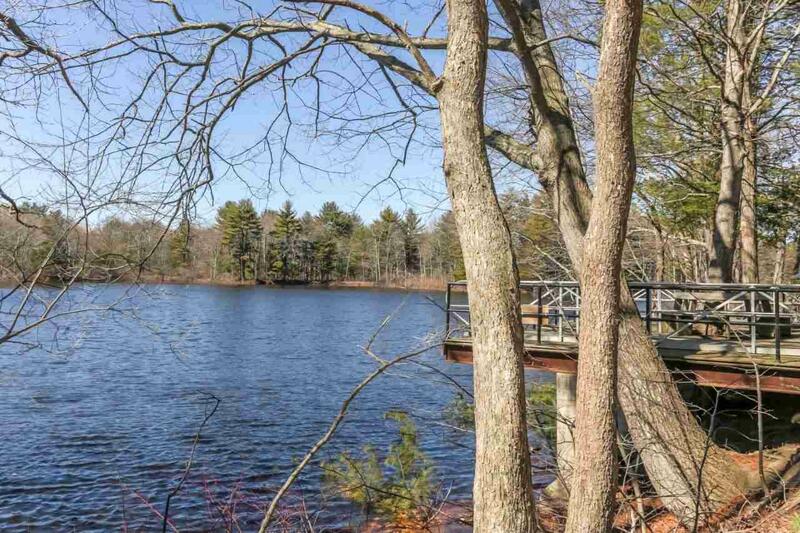 Enjoy the benefits of public utilities (natural gas, water & sewer), convenient access to downtown Exeter, SAU16 schools, proximity to the Seacoast, Lakes and Mountains and all major commuter routes (North, South and West) from this beautiful location. 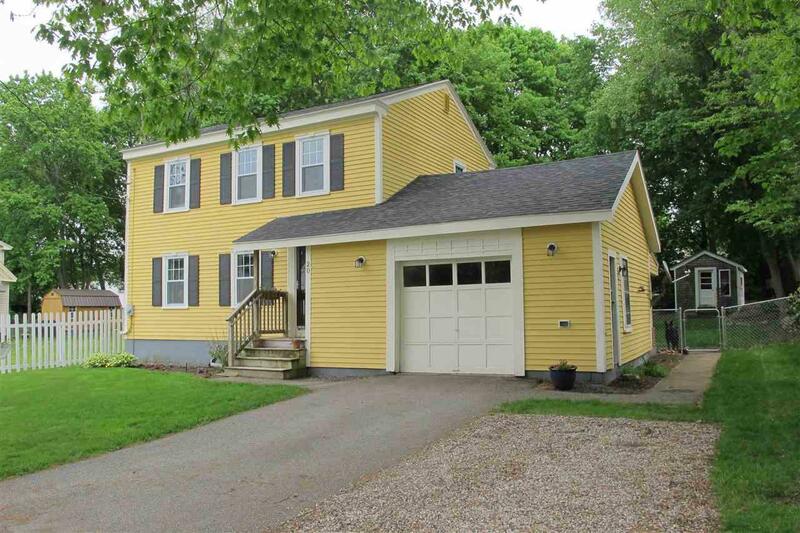 Welcome home to 29 Prentiss Way, Exeter, NH! Looking for a home with everything already done for you? 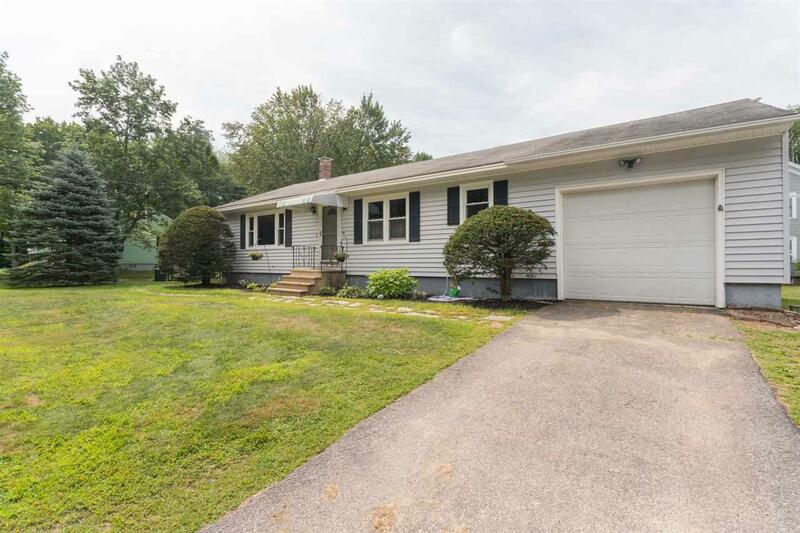 Welcome to 12 Lucy Lane in Dover. This beautiful and bright 2006 custom built classic New England Colonial home has recently been completely and totally renovated with updated fixtures, finishes, new kitchen tile floors, no maintenance high-end quartz counter tops, a suite of stainless steel appliances, new updated baths, stunning ash floors throughout, fresh paint, an amazing new no maintenance deck with stainless steel cable rails, and literally every upgrade on your list. The attic with a full staircase that leads up to a large and open space is all ready to be finished if more space is needed, or as is, makes the perfect easily accessible storage area. This home has been meticulously maintained and scheduled maintenance done routinely in advance of when needed. 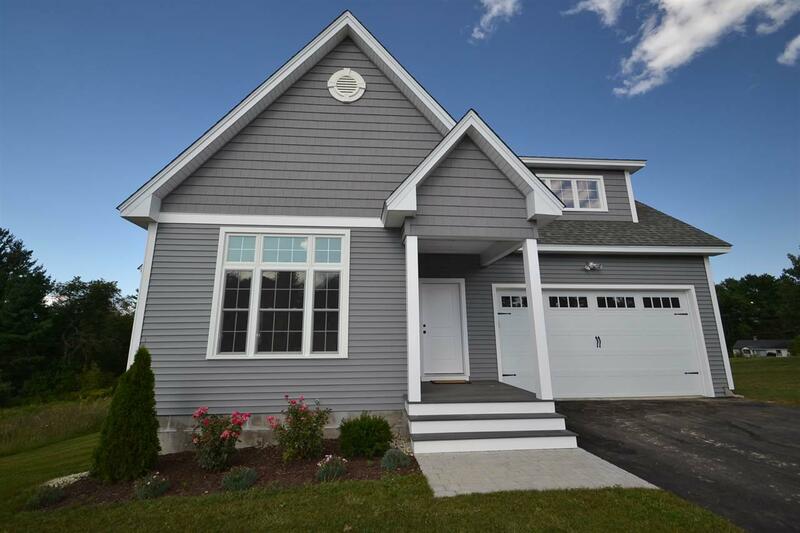 The Lucy Lane neighborhood is just the right size - other gorgeous homes throughout, but not too big, and the location is perfect no matter where you commute to whether its Boston, Portsmouth, Manchester, Concord, or Newburyport and beyond. Have you seen vibrant downtown Dover lately? A multitude of prime shopping spots, numerous wonderful dining options, and unlimited cultural opportunities, along with quick access to the area beaches, the slopes, or vast regional hiking opportunities. No matter what you enjoy - we've got you covered. Come explore Dover and see all it has to offer. Welcome Home! Enjoy this move-in ready condex at Riverside Farm Estates! 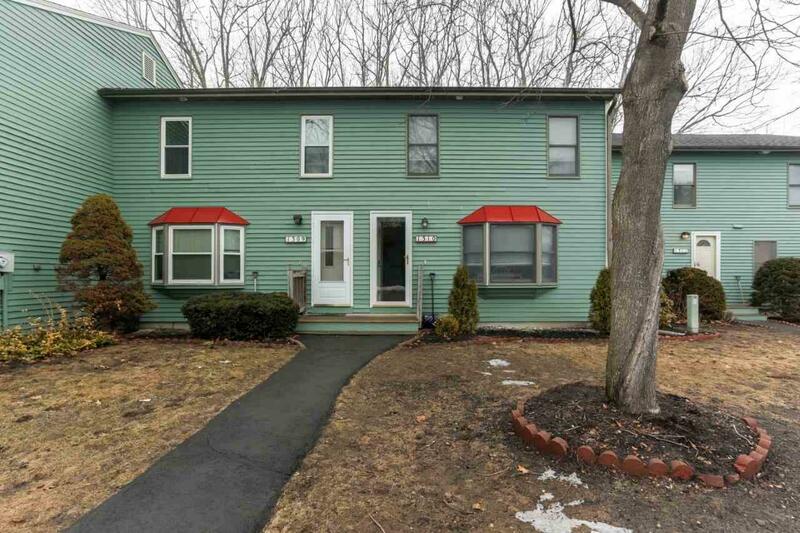 Located on a quiet road in a small association, this two-unit condex has so much to offer. Spacious living room with cathedral ceiling, light and open kitchen/dining area with a deck out back, two bedrooms upstairs, 1.5 baths, and a large unfinished walkout basement. Pergo flooring recently installed. Washing sink and plenty of storage space in the basement. One-car garage. With a private backyard setting, this is a perfect place to call home. Rare find! 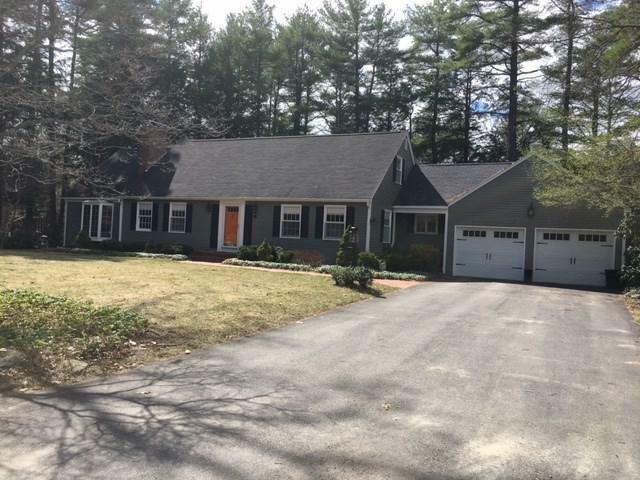 A beautifully updated home set on a gorgeous landscaped lot in a quiet pocket neighborhood within walking distance to downtown Dover at an affordable price. 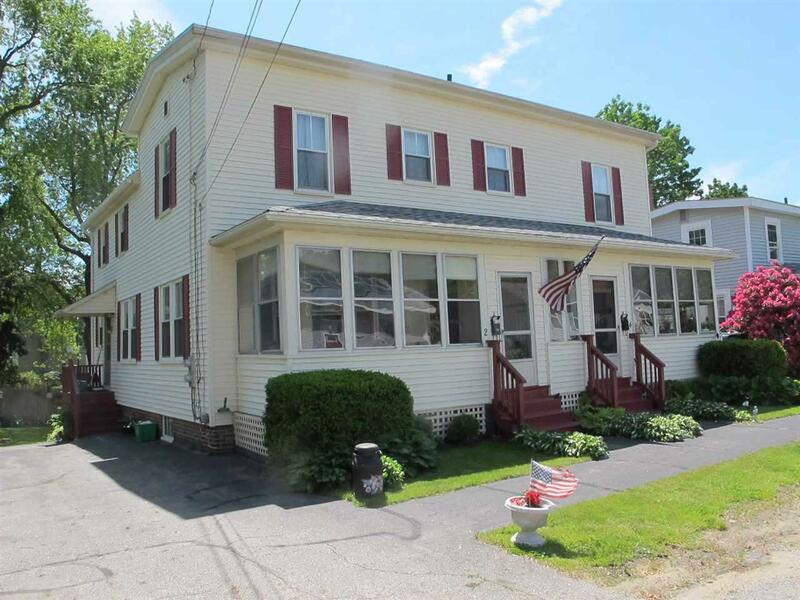 Featuring a completely remodeled kitchen with granite counters, recessed lighting and open to a sunny dining area, an updated tiled bath, hardwood floors and expansion potential in the partially finished attic with skylight. Enjoy the beautiful backyard with its many perennials and flowering shrubs from the rear deck or stone patio. The oversized heated garage and walkout basement offer excellent storage and workshop space. Welcome home! Showings begin Friday, May 11th. Wonderful waterfront townhouse in popular Twin Rivers Community! Enjoy 3 levels of river views from this charming home boasting custom built-ins throughout, sunny eat-in kitchen w/granite & tile & sideboard, LR w/cozy gas stove, wainscoting & sliders to deck for more views, tile baths, pergo flooring, lovely master w/custom walk in closet, 2nd floor laundry, LL family room with more built-ins & work areas, great functioning workshop for weekend warrior, sliders to patio & direct access to waterfront. 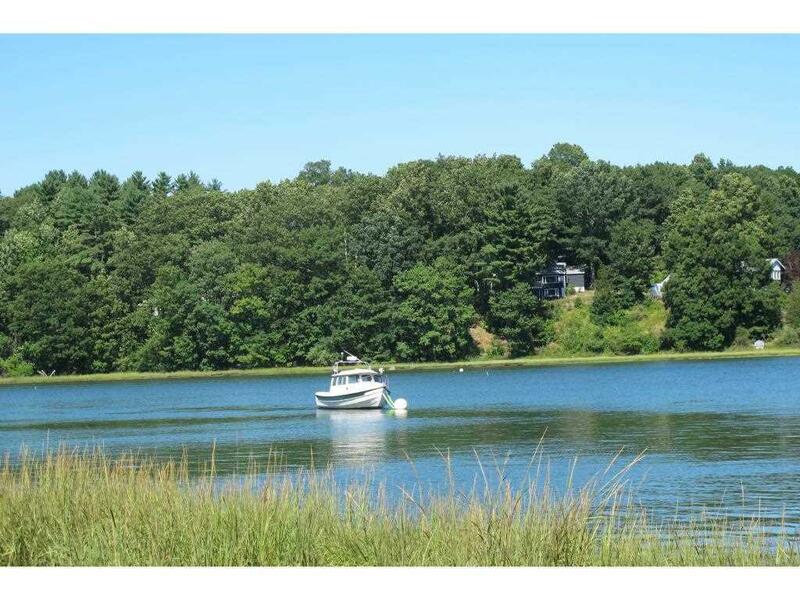 Just in time to enjoy the benefits of waterfront living - fishing, kayaking or just peaceful enjoyment. Pets welcome too! Don't miss this opportunity! 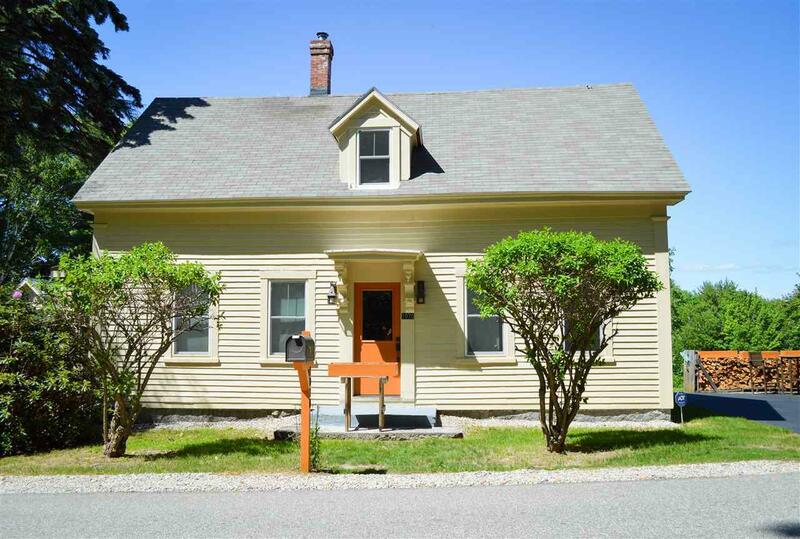 Great opportunity to live walking distance to town in this 3 bedroom, 1.5 bath Antique New Englander. Nicely updated large open kitchen and dining room space, which opens up to an adorable yard and patio area. First floor laundry, front porch entry. Updates needed but worth the investing. Home being sold as is. Quick closing possible! 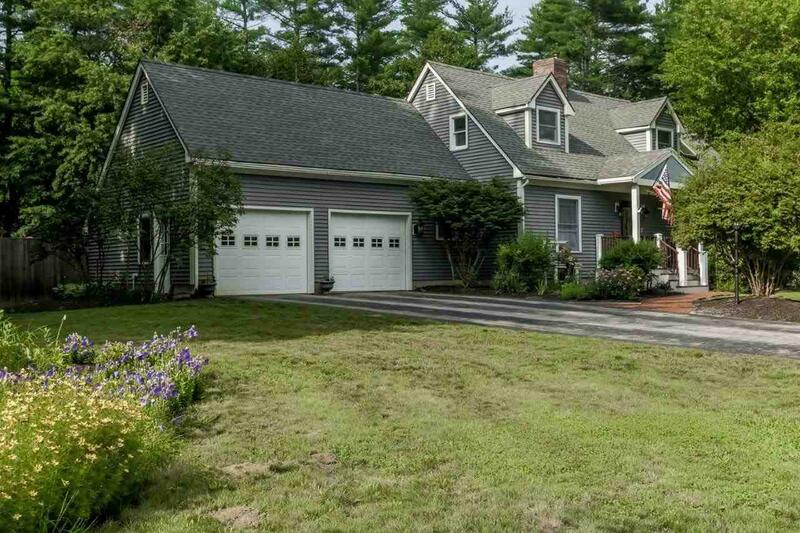 Exquisitely set atop a hill with spanning views, this property encompasses just over 4 acres of privacy, yet close to everything the beautiful New Hampshire seacoast has to offer! Completed in 2005, this has 4 bedrooms, 3 full baths and 1 half, was finished with numerous thoughtful details to compliment the private retreat upon which this home is set. This property boasts mature landscaping, temperature and humidity controlled wine room, close access to trail systems, a 16' x 28' barn with heat and electric, 2 custom master bedroom closet systems (Birch & Black Walnut), and a 12 Zone Irrigation System for the lawn. Carefully blending modern convenience with a warm and inviting style, this attractive and expansive home accentuates retreat-style living in an upscale setting. A double-height foyer welcomes guest into to a spacious main level which includes a formal dining room, a great room, study with built-in safe, a well-appointed kitchen, and inviting family room with bar area. The kitchen full of natural light is perfect for gatherings and shares an open-concept layout with the family room and breakfast nook. Other well thought out features include SS appliances, and granite counter-tops and radiant heat throughout the kitchen and master bath. 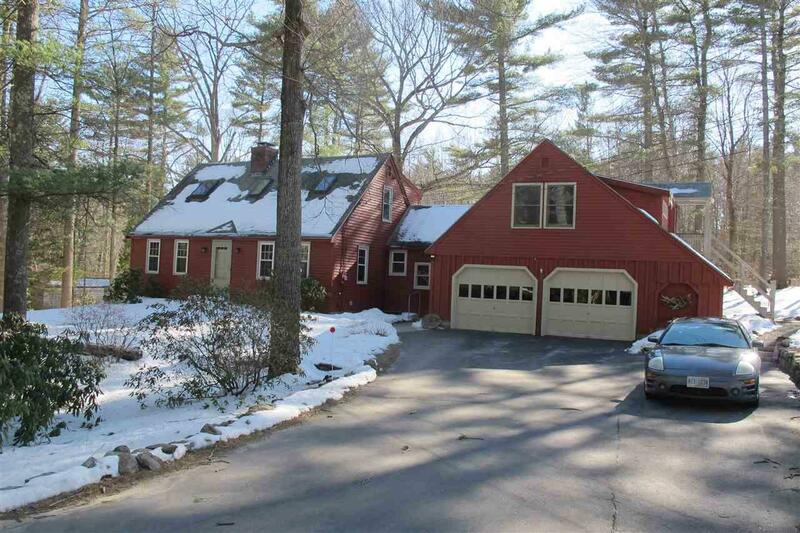 The five-car garage also has radiant heat and a power lift as a bonus. 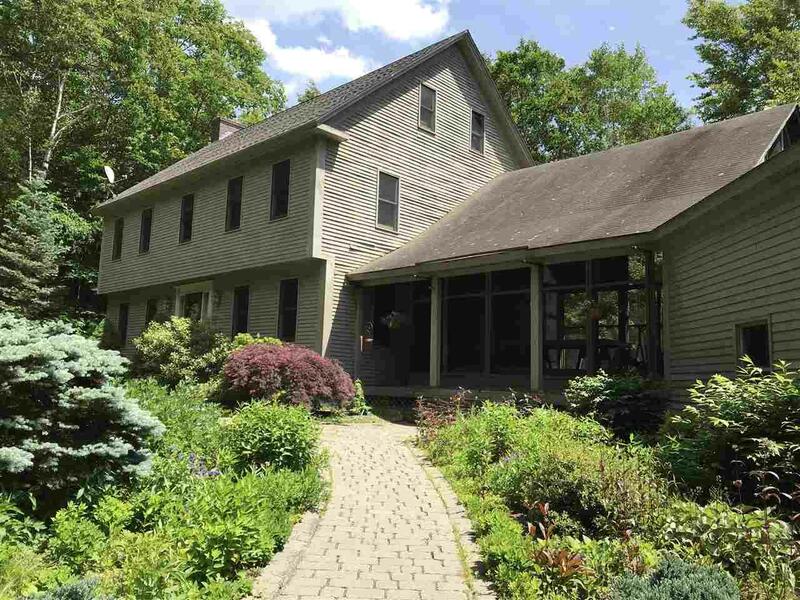 So many possibilities for this property and the nature lover or outdoor enthusiast. 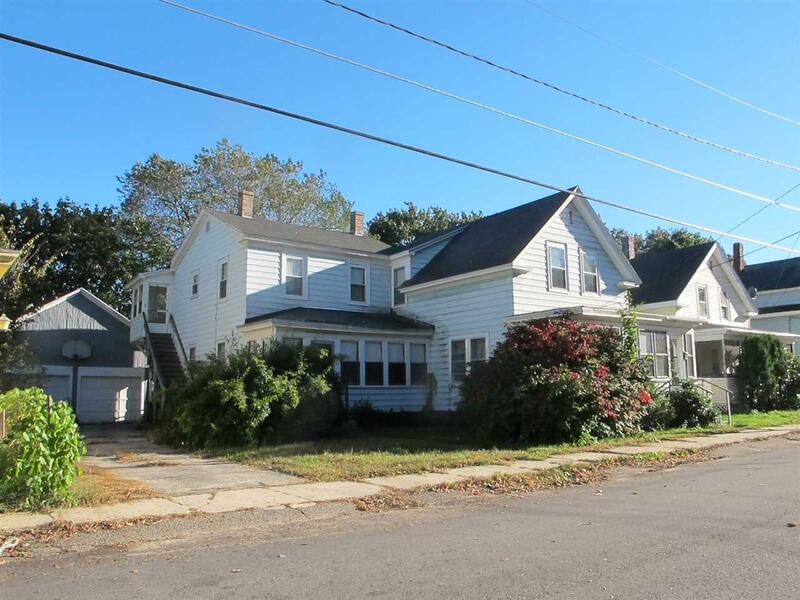 Wonderful opportunity for beginning investors & owner occupied. 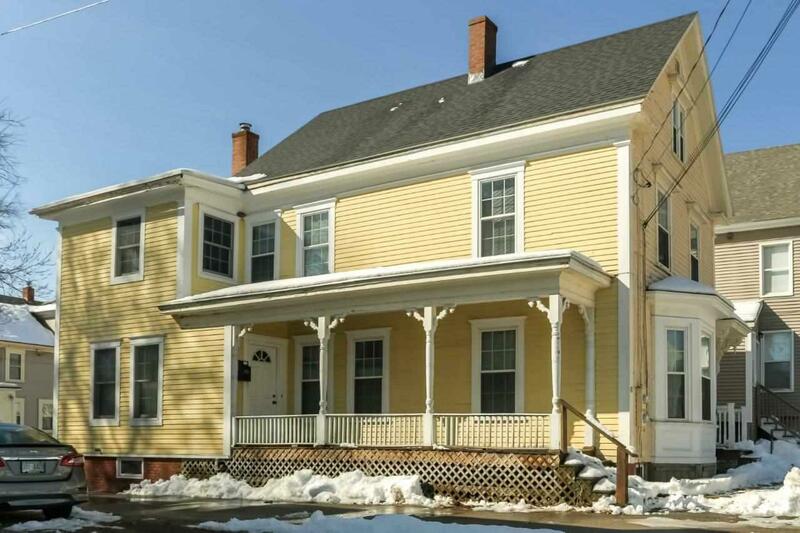 Spacious duplex with detached garage - easy walk to downtown Dover. First floor unit has 1-2 bedrooms and currently rented. 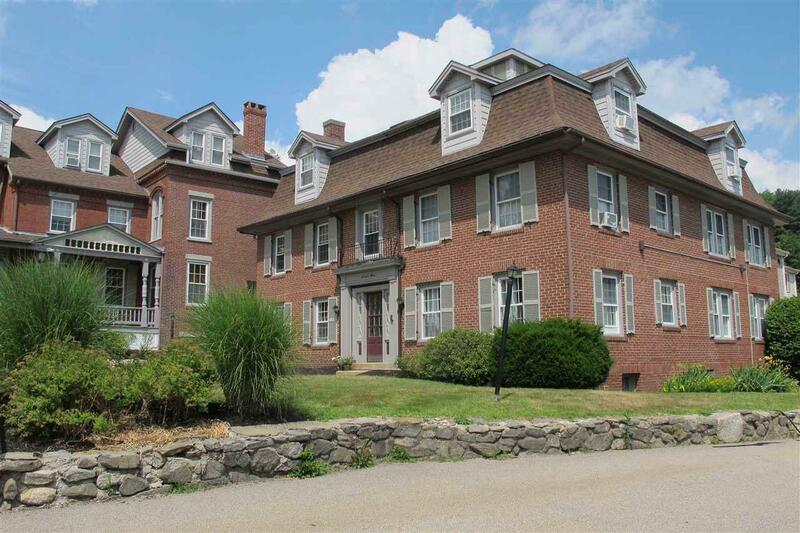 Second Floor unit encompasses both 2nd & 3rd floors with 2-3 bedroom and was previously owner occupied. Many updates including fully applianced kitchen, tile bath, hardwood floors & newer carpeting, mudroom entry & more. Newer windows, newer roof, separate utilities including natural gas heating & hot water. 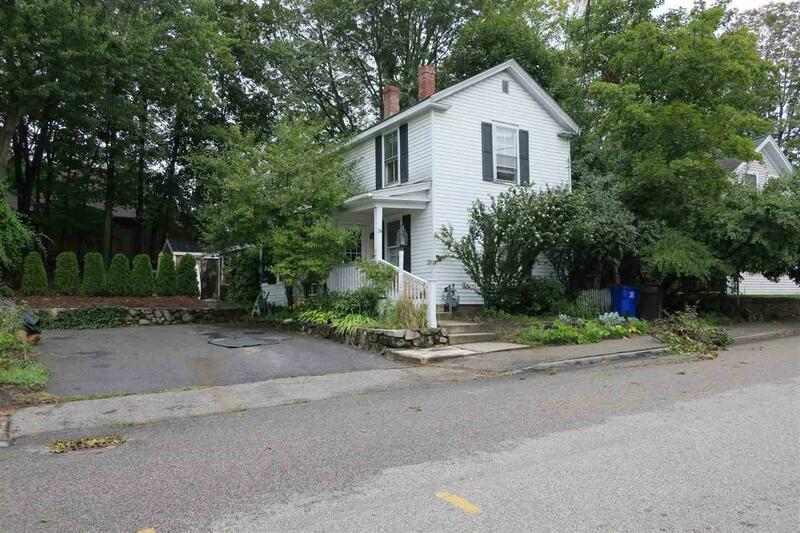 Exterior & front entry need attention - no FHA. You will be surprised at the space inside. Great opportunity to build some equity. 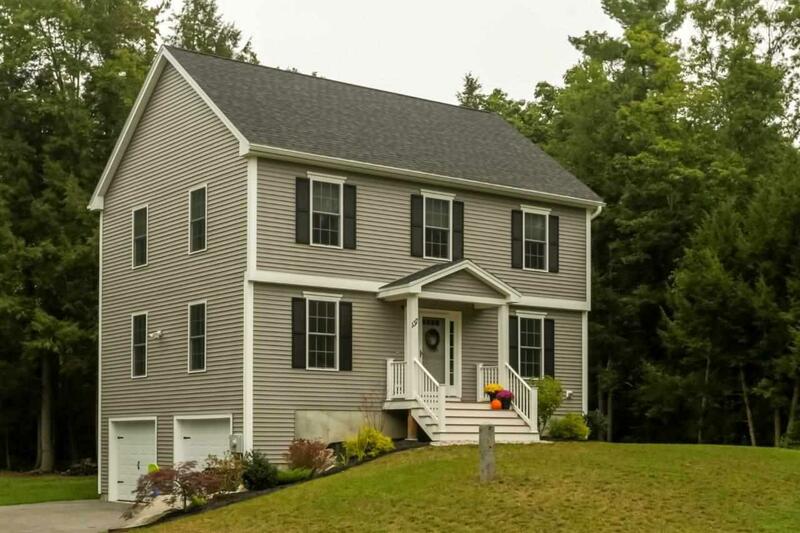 Lovely, freshly painted and beautifully renovated contemporary style home in Stratham's desirable Burnhaven community. The sun-drenched first floor offers a nice, open concept layout with hardwood throughout, a brand-new Granite and Stainless kitchen with an eat-in dining area, an attractive half bath with a new vanity, ceramic tile floors and new lighting, a cathedral ceiling and wood fireplace in the family room, and Southernly exposed glass sliding doors to the back deck from the centrally located living room. Upstairs you'll find a spacious master bedroom with an alcove, walk in closet and direct access to the nicely renovated full bathroom. The second bedroom has its own walk in closet and the whole second floor has brand new wall to wall carpet. There's more finished space in the sunny daylight lower level with brand new wall to wall berber and a unique loft-style opening to a whole wall of windows. The lower level also has another finished office or workout room and 2 unfinished storage and utility spaces. 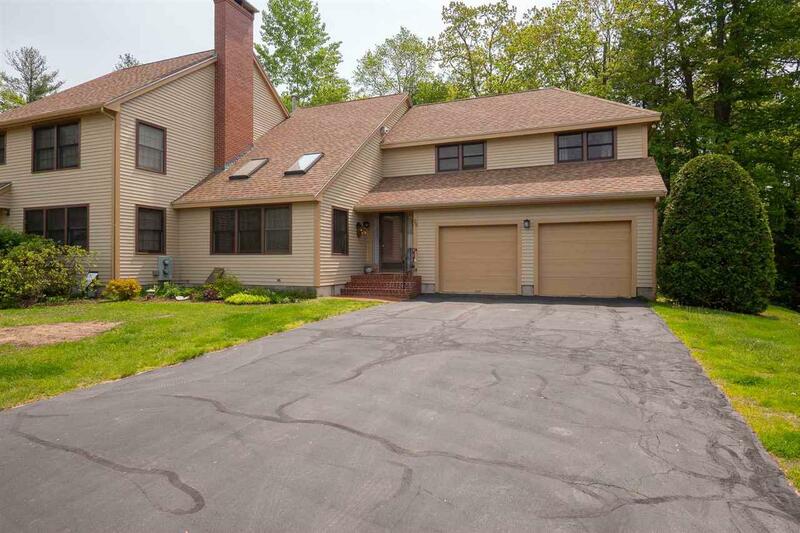 There's also a direct entry, auto-open one car garage and room for 2 more cars in the paved driveway. 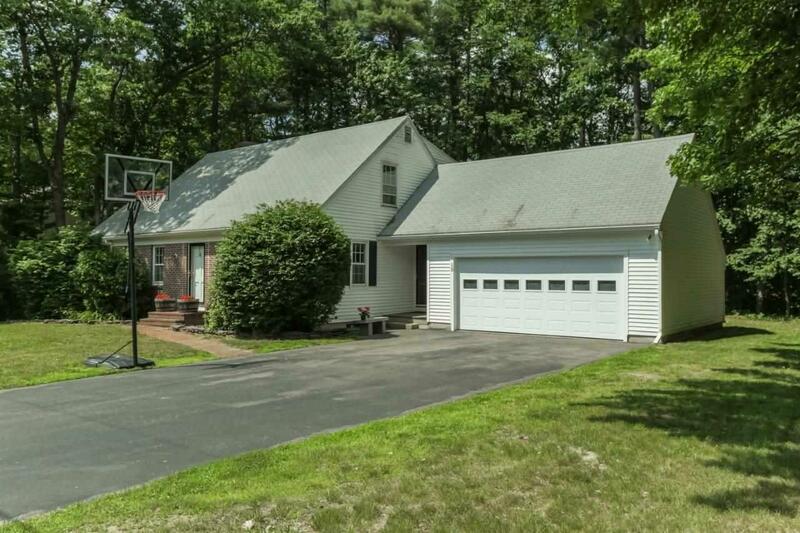 Located close to commuter routes and in a great Stratham/Exeter school district, this one is sure to please! 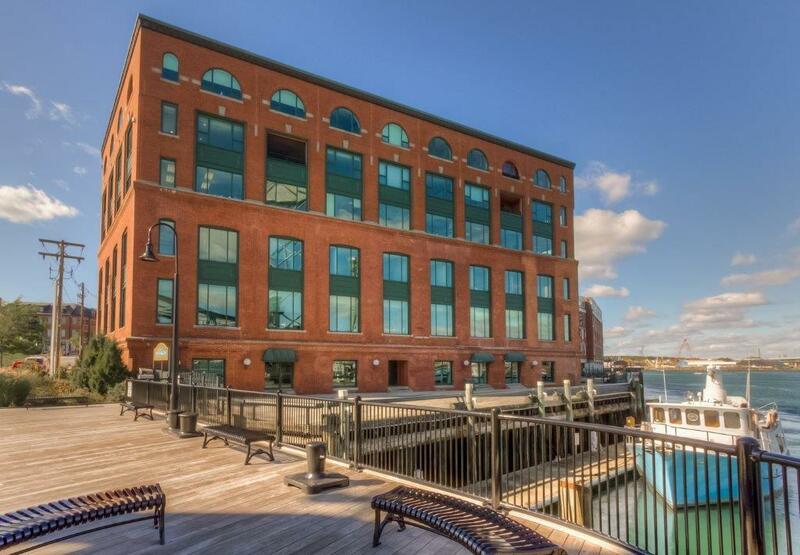 Bright & airy waterfront townhouse located in desirable Twin Rivers Community! Well maintained & brimming with updates, this lovely unit boasts gleaming birch flooring on the first floor, light & bright kitchen w/painted cabinetry, updated appliances, countertops & subway tile backsplash & open to cheerful dining area, spacious LR w/sliders to deck w/wonderful riverviews, updated 1/2 bath with marble tile, lovely master view w/more views & direct access to updated tiled full bath, 2nd floor laundry area, charming 2nd bedroom, freshly painted & new carpeting on the 2nd floor, LL family room w/sliders to patio & direct access to the Piscassic River, utility/storage room, well maintained w/newer hot water heater & gas heater in the LL the list just goes on. Enjoy living on the river year round, fishing, swimming, snow shoeing, boating & more. Boat launch access and community docks along the riverfront. Kayak, anyone? Welcome to Saddler's Hill! Charming condo boasts open concept living room/kitchen, SS appliances, master bedroom w/door to covered deck, dormered windows, efficient natural gas utilities, secure storage area in LL & coin laundry for convenience. Lovely brick building with classic appointments and well maintained. Ample parking in the rear parking lot. Close to downtown, shopping, hospital & easy commute to major routes. Well run association. Great opportunity for convenient and affordable home ownership. Don't miss this opportunity! 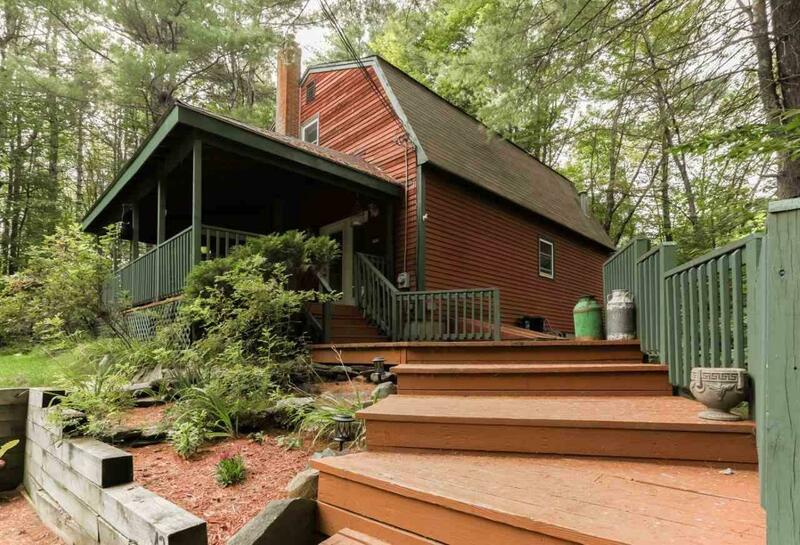 Welcome to this spacious four-bedroom, 1.5-bath New Englander. Tucked away on Osborne St. yet still close to lots of amenities and attractions. The home features some updates, and overall is a well-maintained 1900's property. The first floor features a spacious entryway into the dining area, kitchen, living room, full bath, and one bedroom. Second level features three more bedrooms including what is currently being used as the master with a walk-in closet. There is a spacious half bath in the hallway of the second floor. Large basement for storage, and a one-car attached garage. A lot of space for a great value. There is not much to do here but move in and enjoy. Welcome family & friends! 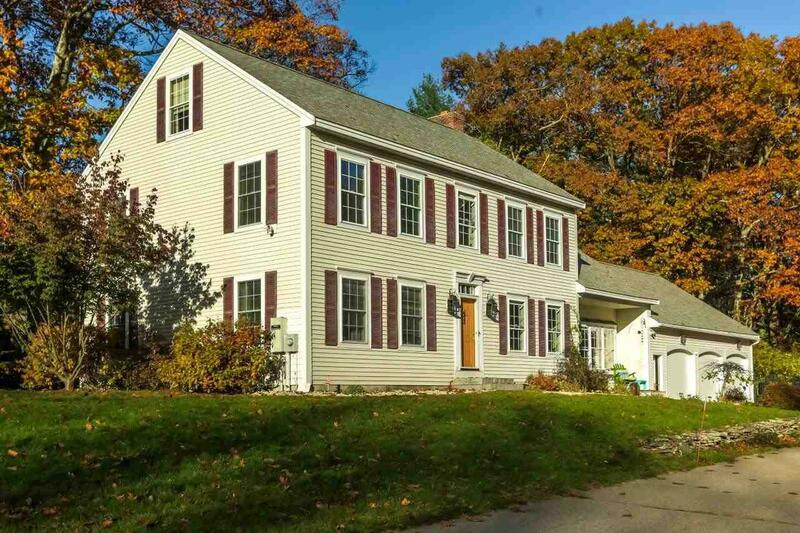 Tucked back on 3.6 acres & framed by lovely landscaping, this sunfilled & spacious custom colonial boasts a welcoming & versatile floorplan for daily living & entertaining. You will never want to leave this fabulous 18x25 kitchen filled w/cherry cabinetry, granite counters, wraparound breakfast bar, walk in pantry, 9' ceilings & sunny dining area, classic appointments & hardwood flrs, LR w.wood burning FP, sittng area, first floor bedroom/ office,TV/media room, tile baths, envious master suite w/sitting rm, private sleeping quarters w/skylights & vaulted ceiling, 9x15 walkin closet, 3rd floor bonus fr/guest room, huge basement for storage & expansion potential, 3 car attached garage for vehicles & workspace. And then there's the outside spaces: beautiful patio area surrounds the 40x20 salt water heated gunite pool, spacious deck for outside cooking, lovely landscaping & fabulous yard for child/pet adult play, central air, whole house generator, security system and the list goes on. 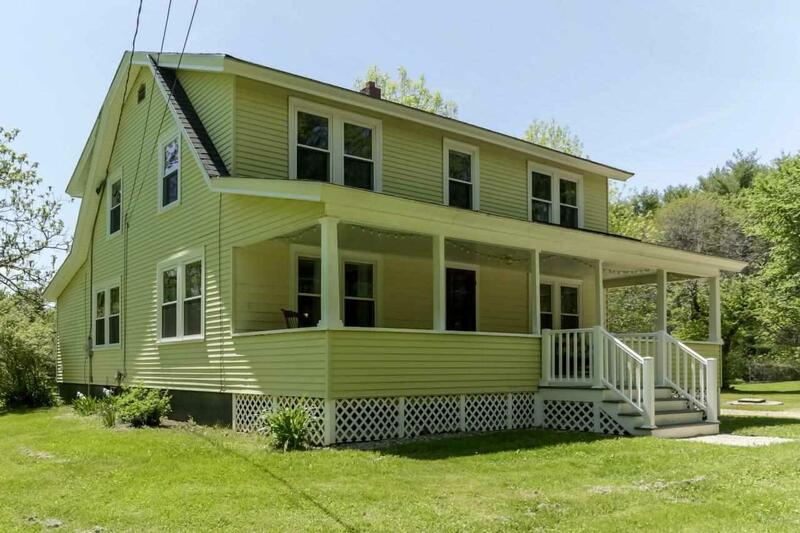 Lots of options & versatility for in- home offices, blended family & guests Great country & commuter friendly location in Madbury. just minutes to UNH. Desirable Oyster River School system. 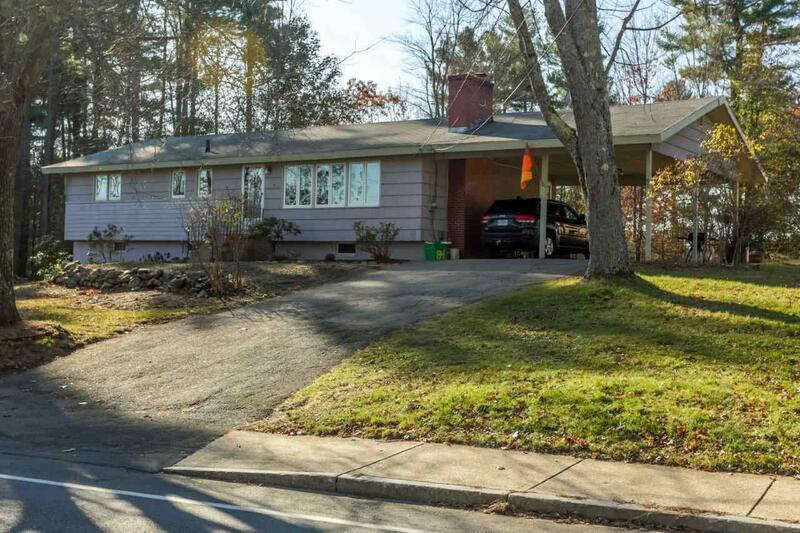 Lovely ranch sitting pretty on spacious landscaped lot in desirable South Dover. Loaded with updates & filled with natural light , this open concept home boasts maple kitchen w/granite counters & breakfast bar, LR w/fireplace, open dining area w/atrium doors to fenced backyard, gleaming hardwood floors throughout, updated bathrooms, master bedroom with 1/2 bath, 3 additional bedrooms/office, LL features a Family room & playroom/rec room with daylight windows & walk-out. The unfinshed space offers great storage and workshop area. Newer windows, newer heating system, central air are just some of the updates. The oversized lot is fenced in the backyard with patio for grilling, garden shed and lots of space for family play, and outdoor enjoyment. Carport has room for 2 vehicles. 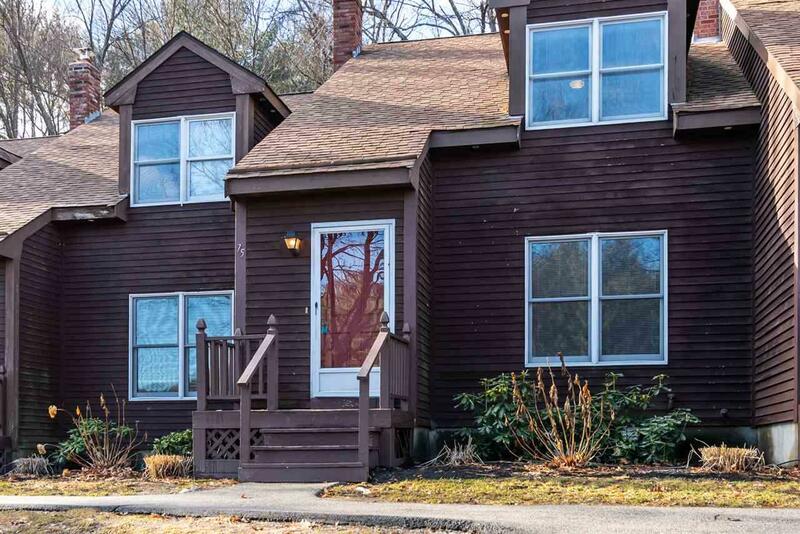 Great location just down the street from the popular Garrison School & minutes to Portsmouth. Don't miss this wonderful opportunity. The one you've been waiting for can finally be yours...3 bedrooms, 3 baths with tons more finished attic and basement space(and even some unfinished attic space above the garage....need a 4th bedroom??). Feel comfortable and at home cooking in your beautiful eat in kitchen with granite counter tops and stainless steel appliances overlooking your large wooded back yard. Relax in the hot tub, under the pergola or inside your huge screened in porch listening to the hustle and bustle of nature that surrounds you. 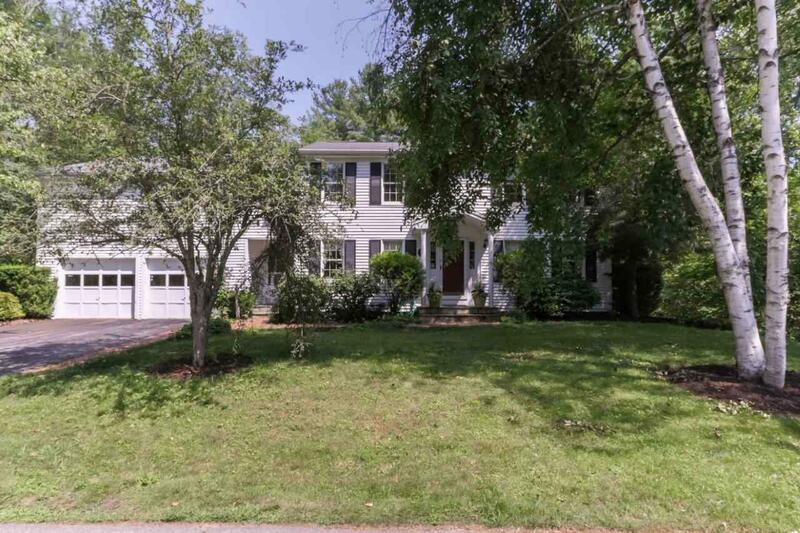 Formal dining, 3/4 bath and 1st floor laundry with storage complete the 1st floor of this immaculate Colonial. On the 2nd floor you will find a full bath, 2 bedrooms and a master suite fully equipped with a walk in closet and another 3/4 bath. The striking hardwood floors from the first floor continue throughout the second with only the tiled bathrooms that escape them. Moving up to the third floor you will be delighted to find fully finished attic space where your family can spread out. If that's not enough room for them, head to the basement, that's finished too! This property will sell in the blink of an eye so set up your showing today! One floor living at its best!! Check out the pics of this beautiful lot. Hidden gem at the end of a dead end street. This open concept ranch boasts custom kitchen with granite counters, stainless appliances island, crown moldings and soft close drawers and doors. Kit dining are open to large livingroom. Hardwood floors from front to back. Tile in baths. Master suite has walkin closet for her and another closet for him along with trey ceilings. Master bath has double sinks with granite tops, shower and linen closet. 2 other comfortable bedrooms with nice sized closets. 1st floor laundry. Beautiful back yard paved drive and 2 car attached garage. Plenty of privacy and close to everything. Just 1/4 mile to Walmart and home depot. All this for under $300,000. Home is going up now ready end of November. 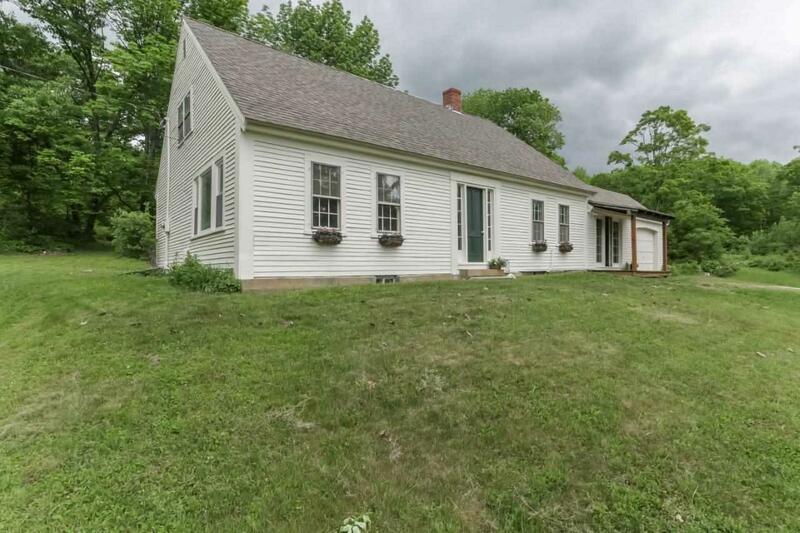 Perfect country location for this charming extended cape. Encompassed by mature landscaping with gardens & views, this light-filled home boasts welcoming mudroom/sunroom with sliders to pergola covered deck & patio, sunny eat-in kitchen with white cabinetry, spacious LR w/fireplace, built-ins, hardwood floors and wonderful picture window with great greenery views, 3 bedrooms and 1 bath all on the first floor including office nook with builtins; sunfilled second floor is expansive with hardwood floors, Fr/office or playroom, master bath and spacious master bedroom with brick hearth for woodstove & more views of the fabulous backyard. The land is just lovely with , the gardens, the greenhouse, the patio, deck, pergola that make this property special. Bring your decorating ideas as well to add instant equity to this family home. 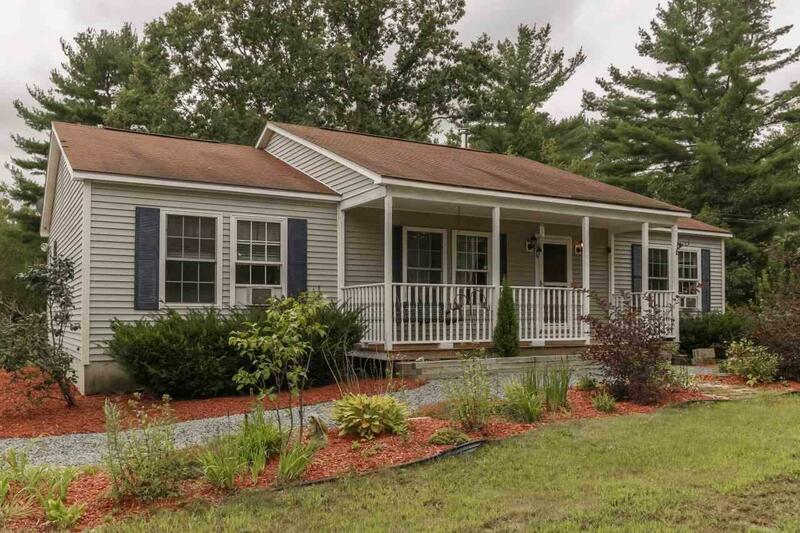 Well maintained with a versatile floorplan that can accommodate one floor living and/or family needs for work & play. Possibilities & potential awaiting new owners. Great location less than 1 mile to Vaughn Woods & close to major routes. House Beautiful! If you are considering new construction, come visit this lovely garrison colonial first...This picture perfect home is tucked back on landscaped lot in popular Coachman Estates. Filled with natural light & boasting open concept floorplan with hardwood floors throughout the first floor, front to back LR with gas fireplace & dining area w/sliders to oversized deck, generous maple kitchen with island, granite counters & SS appliances, charming tiled 1/2 bath w/pocket door, 1st floor laundry & efficient office/study, hardwood stairs to the 2nd floor with fabulous master suite including hall of double closets and separate walk in closet, sharp master bath w/tile, two additional bedrooms & tiled family bath. Efficient FHA heating & central air. Enjoy family time & entertaining from the 16x16 deck with patio gazebo, pretty & private backyard w/firepit, room for childplay and bordered by woods. Great commuting location & more. A pleasure to show! 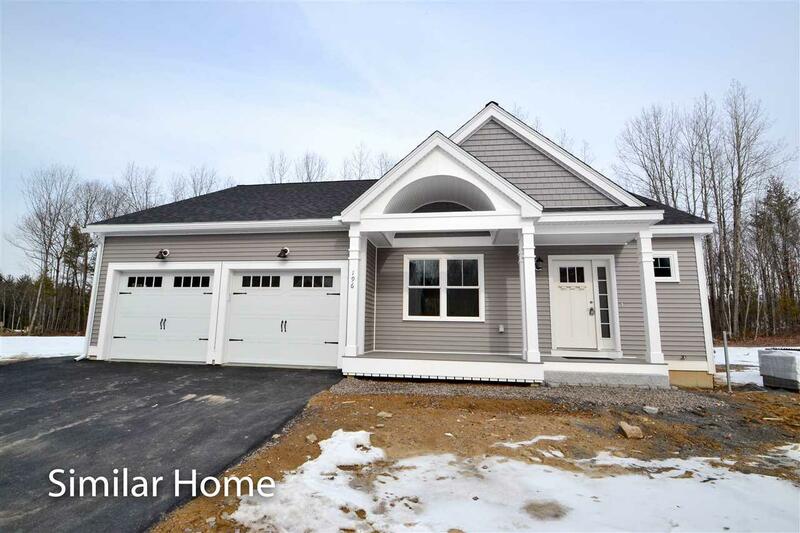 Welcome to Pear Drive Estates, a beautiful new cul-de-sac neighborhood in wonderful Dover, NH. This new home is 100% complete and ready to close. The "Caldwell" plan offers an expansive living room kitchen layout with airy cathedral ceilings and lots of sunlight. Amazing counter space in this kitchen and island with high quality cabinetry and granite counter tops. Additional kitchen pantry for storage. The first floor master suite is tucked in the back of the home for peace and privacy. Perfect master bathroom has a tiled walk-in shower, dual vanity, and linen closet. 2 additional bedrooms, full bath, and a large bonus room upstairs great for visitors, an office, or a hobby room. 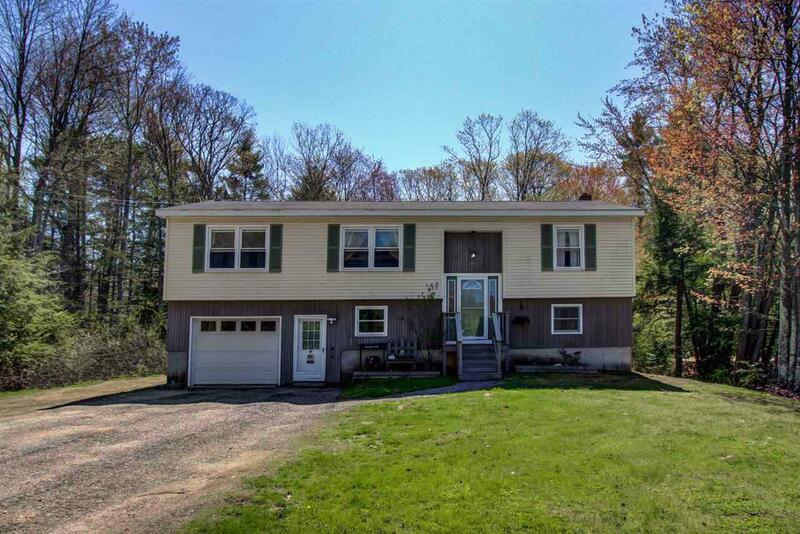 Located near picturesque fields and forest close to the Cocheco River, conveniently close to shopping and services near Exit 9, Route 16, and restaurants and entertainment in downtown Dover. Generous level of finishes always included in all Copley homes; a warm gas fireplace with mantel and surround, tile showers, granite through out, air conditioning, energy efficient Paradigm windows, excellent insulation and building materials. 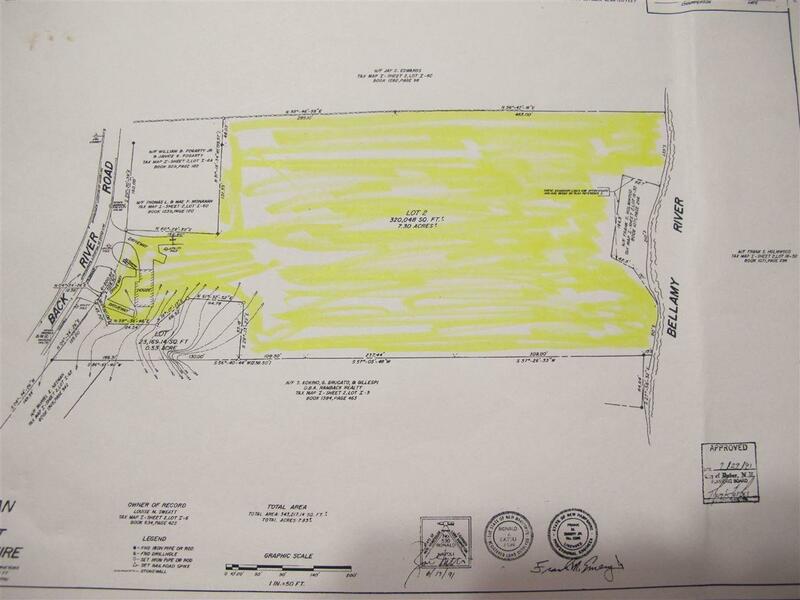 Other lots available to customize your dream home. GPS: 114 Watson Rd, Dover, NH. Copley Properties: Develop. Build. Design. Welcome home to 59 Chamberlain St. This three-bedroom, one full bath sprawling Ranch-style home has undergone many updates throughout the years. Not only does it have an oversized one-car, auto-open garage for great storage space, but it also has a large dry basement. Some of the updates include fresh paint throughout the majority of the home in 2017. New tile flooring in the kitchen and bathroom along with Pergo Max flooring that was installed in the living room and hallway in 2015. All three bedrooms still have the natural hardwood floors. Throughout the duration of the current owners occupancy, the bathroom vanity, toilet, and the shower/tub combo have all been updated. Replacement windows were installed in 2008, all appliances were updated in approximately 2012, a Buderus furnace and water heater were installed and maintained annually, and partial fence was installed in the backyard, and a swing set that stays with the property on the side yard. Great commuter location just minutes from major routes, the local hospital, shopping, and located just a few doors down from the Chamberlain Street Elementary school and the play ground. Nothing to do here but move in and make it your own. 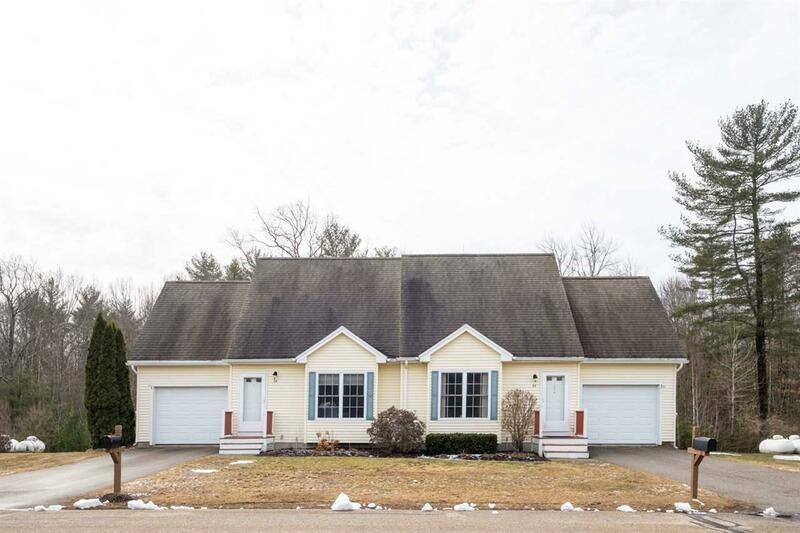 Fabulous waterfront home in Swains lake community.This welcoming cape framed by lovely landscaping has been totally remodeled from the inside out boasting lovely indoor & outdoor spaces for year round enjoyment. Fantastic cooks kitchen with SS appliances including double ovens & stove, granite breakfast bar & tile floor, open to charming dining room,nicely appointed LR w/french doors to 4 season sunroom w/pellet stove & sliders to expansive patio area, gorgeous custom tile 3/4 bath,maple floors thruout most of the home, custom maple stairs to beautiful master w/vaulted ceiling, sliders to double decks w/ filtered water views - a perfect spot for morning coffee, 2nd custom tiled 3/4 bath w/skylight, charming 2nd bedroom, walkout/daylight LL features spacious FR w/hearth & pellet stove, 3rd bedroom, pergo floors, great laundry area with 1/2 bath and access to 2 car garage. Newer windows, metal roof, updated systems, generator hook-up & more. Fabulous stone patio area w/ tiki bar, hot tub, screen house perfect for entertaining & simply relaxing. Just steps away from your private beach and dock on quiet cove on the lake. Another spot to picnic and enjoy the lovely sunsets...There is really nothing for you to do except enjoy all of the amenities of year round waterfront living. 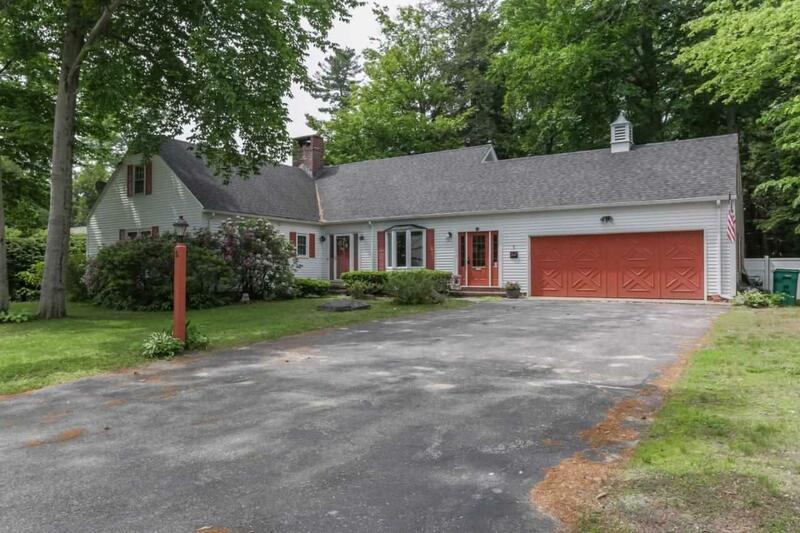 Commuter friendly location in Barrington. Welcome Home! House Beautiful! Picture perfect expanded Cape sitting pretty on corner lot framed by lovely gardens & mature landscaping. Step into this welcoming home and you will fall in love. Brimming with charm & custom appointments, this light filled home boasts striking kitchen filled with painted cabinetry, breakfast bar open to dining area w/wainscoting & LR w/fireplace & woodstove insert for those chilly nights, front to back FR with wall of builtins, double sliders to expansive decks overlooking wonderful yard, DR/1st flr office, hardwood floors, crown molding, gorgeous master w/vaulted ceiling & remodeled master bath w/tile & granite, updated family bath, charming bedrooms, laminate flooring, LL recently finished for fun & function as playroom, workspace w/ builtins; flexible floorplan with all of the rooms you need for living & working & playing. Buderus boiler, irrigation system, so many updates inside and out & all of the hard work has been done. And then there's the fabulous grounds. Expansive decks, refreshing inground pool, patio, firepit, gardens, fenced area for pets & play & entertaining with additional side yard for privacy and enjoyment. Commuter friendly location in desirable Gonic neighborhood. Welcome Home! 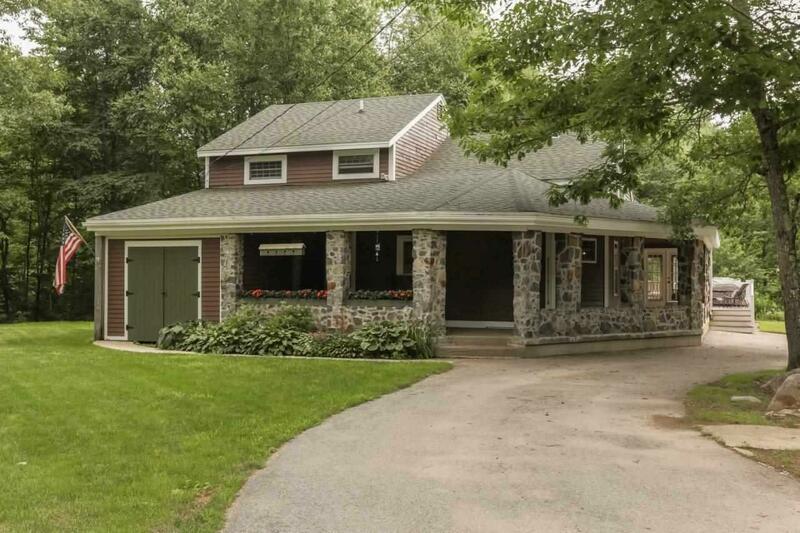 Country ranch framed by lovely landscaping & stonewalls perfectly sited on 7+ acres. Filled with natural light and ready for new owners, this home boasts generous eat-in kitchen w/sliders to tiered decks overlooking lovely yard, spacious LR. 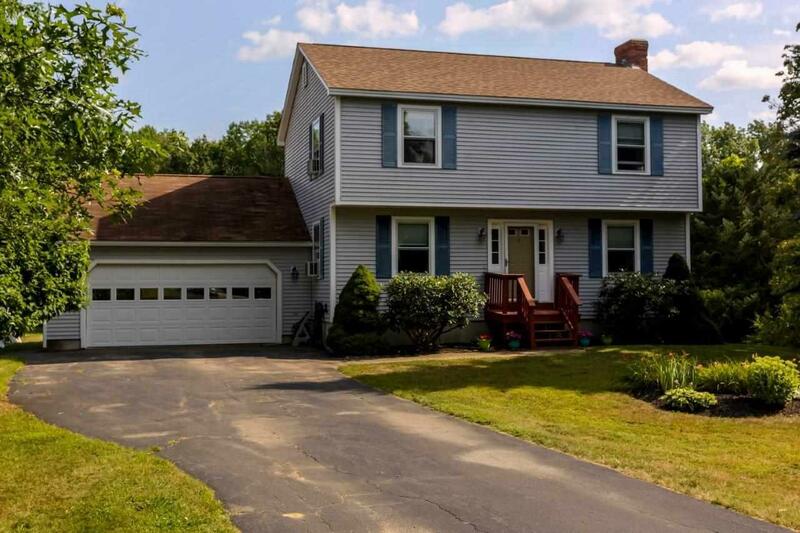 new flooring throughout, family bath & 3 bedrooms, LL offers daylight FR & laundry closet, updated 1/2 bath, additional rec room/mudroom area, many updated systems, 2 car garage w/space for storage & workshop. $2,000 appliance allowance included and buyers choice of laminate countertops, sink & faucet in the kitchen. Enjoy coffee from your front porch or the views from your back deck. Aboveground pool, oversized garden shed for pool toys and equipment. 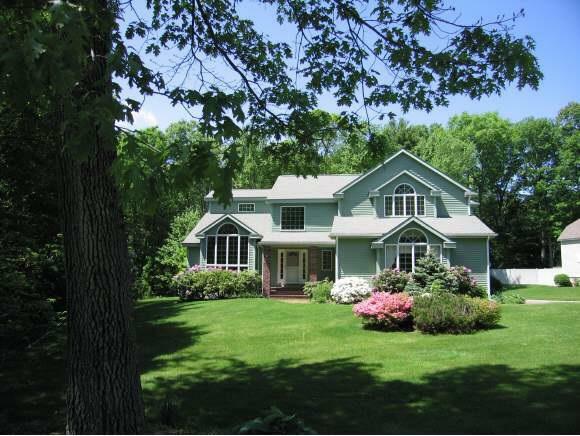 Fabulous yard & lovely wooded acreage that abuts conservation land. Great location to major routes in all directions. 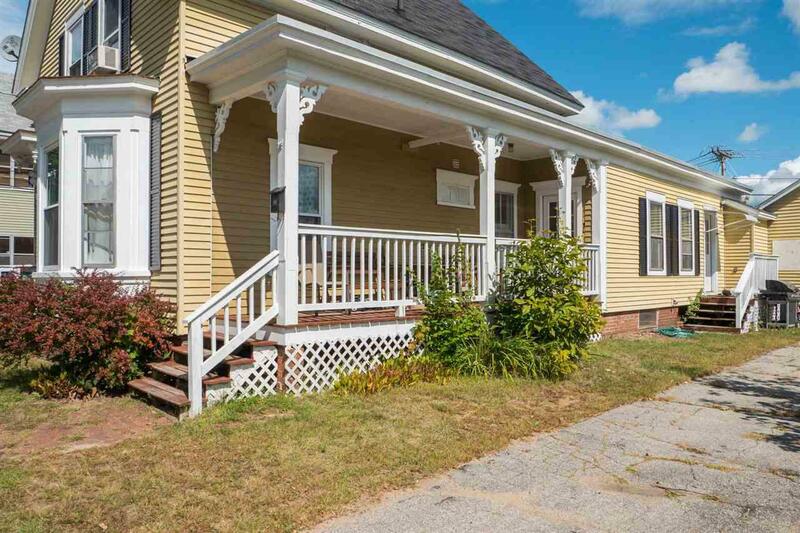 Walk to town from this charming side by side duplex. Well maintained over the years with many updates, this is a great opportunity for owner occupants or investors! Both units offer hardwood floors, newer windows, charming enclosed porches, vintage appointments, eat in kitchens, 2+ bedrooms on the 2nd floor and 3rd rooms could be office/nursery/guest rm, 3/4 baths, fully applianced including washers & dryers. 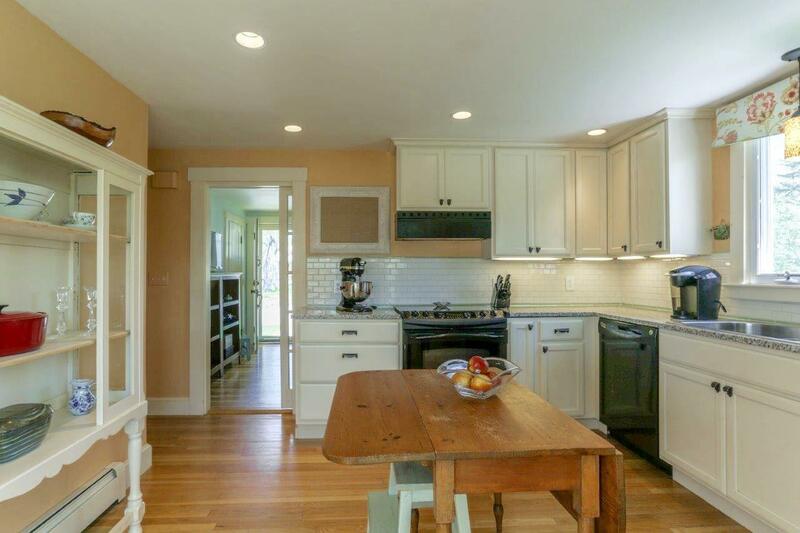 Owners side boasts sunfilled open kitchen/dining room & french doors. All utilities are separate except for water/sewer. Updated systems and separate paved driveways for ample off street parking. Great fenced backyard with firepit & patio and framed by lovely landscaping. Wonderful opportunity to start your home ownership or investment portfolio. 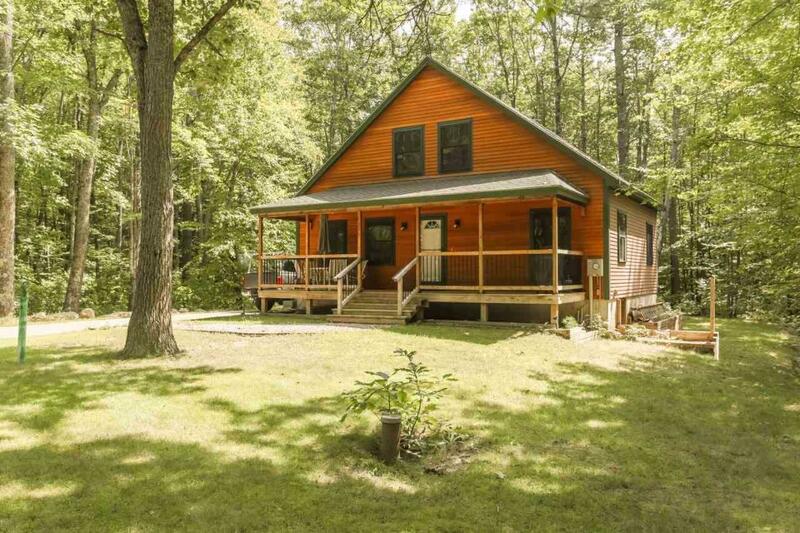 Country living at its best.This two bedroom log home is situated on just under an acre. 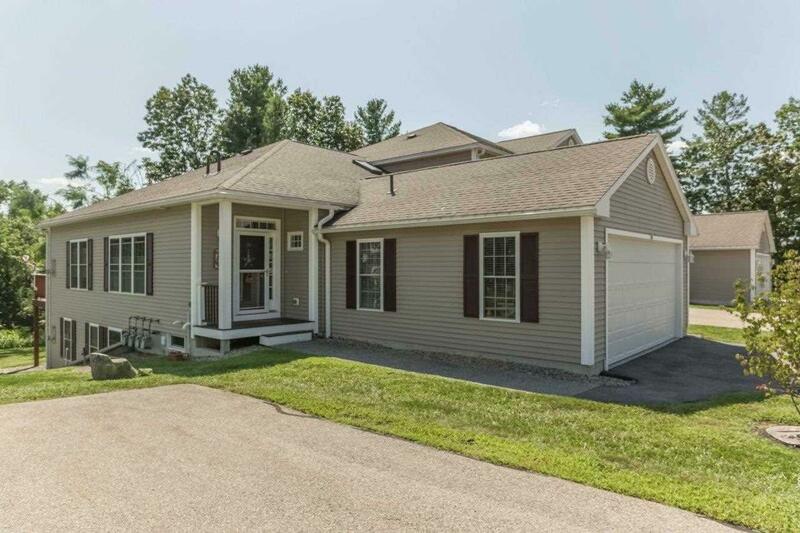 This home offers a double car garage with a beautiful screened porch to relax and enjoy your ever changing seasons.Dining area opens onto an nice deck overlooking your back yard. Master suite is the entire second level with a private bath. 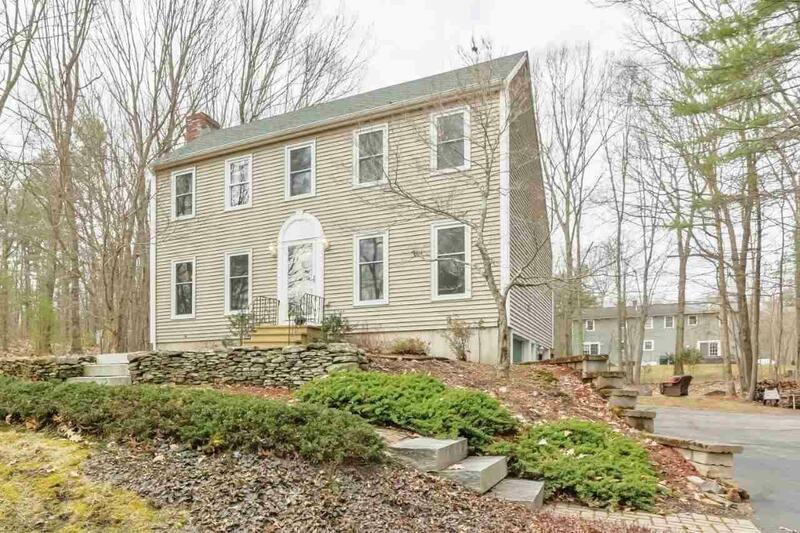 Absolutely charming colonial in desirable Rochester Hill neighborhood. Framed by fencing & mature landscaping, this lovely home boasts classic appointments & many updates including kitchen & baths, pine & tile floors, generous LR & formal DR, 3 bedrooms & full bath on the 2nd floor including a separate laundry room, charming sunporch overlooking wonderful backyard that is perfect for entertaining, child & pet play & just private enjoyment. Garden shed & garage w/workshop. Updated systems including heating, electrical and more. A pleasure to show. Welcome Home! You will be surprised! This charming cape offers so much space & versatility with all the rooms you need for family living, working & entertaining. Lovingly maintained by the owners for 55+ years, this wonderful family home boasts cheery kitchen w/tile, spacious dining room w/oversized windows, expansive family room w/vaulted ceilings, beams, skylights, dining area, brick hearth & woodstove & sliders to deck & gazebo overlooking lovely backyard, 1st floor office w/builtins, 1st floor bedroom, baths on each floor, hardwood floors in most of the rooms, 2 bedrooms on the 2nd floor with builtins, tons of closets, custom touches, updated systems including Buderus boiler, detached garage w/separate workshop for work projects, and/or serious tinkerer, wood storage and the list goes on. Enjoy the views from your deck or al fresco dining in the screened gazebo. Opportunity to add your own personal touches/updates as well. Pretty lot and great location for ez commute. Truly a welcoming property. 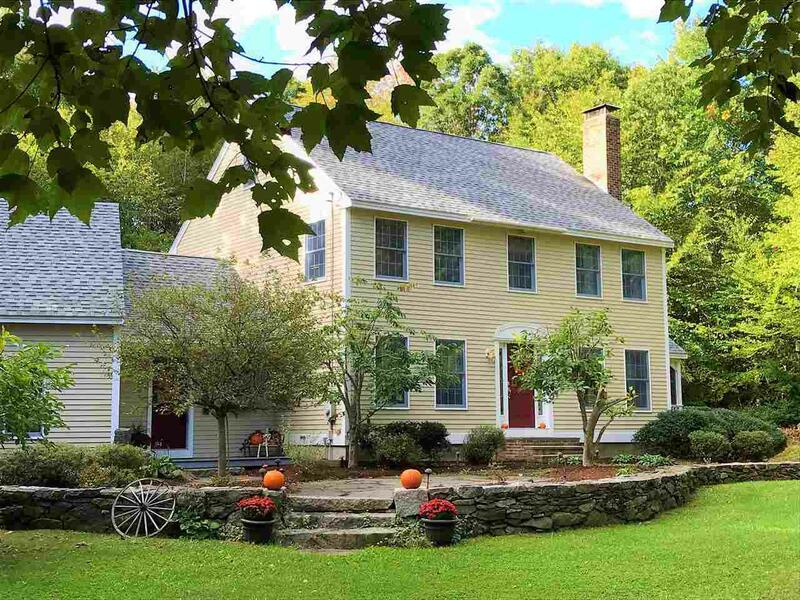 Lovely Farmhouse Colonial in popular Canney Farms awaits your family. Framed by mature landscaping & enjoying natural light, this wonderful home boasts generous kitchen with center island, granite & tile that opens to sleek dining room w/ vaulted ceiling & wall of windows overlooking pretty backyard, FR with fireplace & triple atrium door to spacious deck, french doors to sunfilled LR, expansive master suite with updated master bath & double vanity, 3 additional bedrooms & office with skylights & builtins, updated family bath & separate laundry rm all on the 2nd floor, 3rd floor bonus area & bedroom perfect for guests, teens and/or private in-home office, LL playroom/ rec room and 3/4 bath. daylight work space, tiled mudroom, oversized 2 car garage & more. You will be surprised with the versatility, function and space that this wonderful home affords for today's family living, working & entertaining. Walk to schools & downtown Durham & library. Welcome Home! House Beautiful! 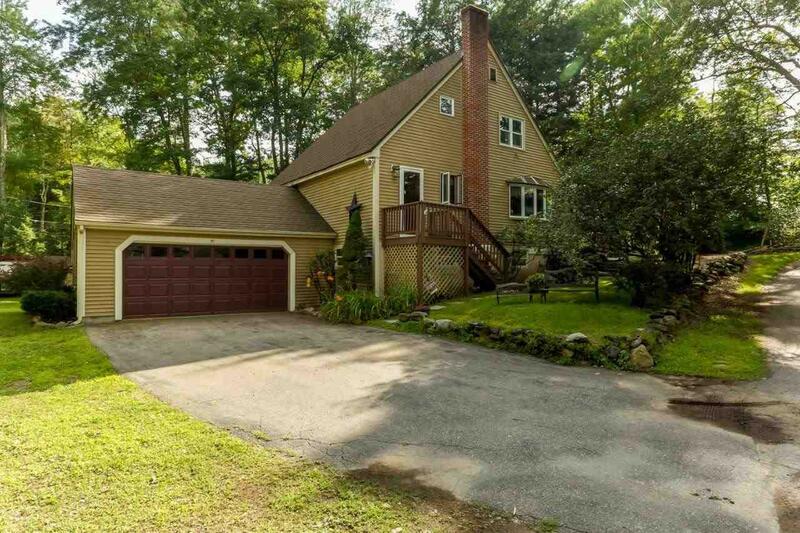 This wonderful family home is just loaded with curb appeal & charm both inside and out. Filled with natural light, featuring open concept floorplan, eatin maple kitchen w/island and atrium doors to great deck & views of lovely backyard, maple floors, gorgeous tile family bath, lovely appointments & custom touches, spacious FR in the LL with slate floor, brick hearth & woodstove to stave off the chilly nights, buitins, LL office/den, 3/4 tile bath in the LL with laundry, great storage, oversized 2 car heated garage that is currently used for both vehicle & work space. And then there's outside living - Generous deck overlooking fabulous backyard with patio area, pergola and koi pond, fire pit, additional storage shed, shaded sitting areas to relax, beautiful landscaping, paved walkways - truly a great spot for entertaining, childplay and gardening. Well maintained and a pleasure to show. Nicely sited in great neighborhood and easy access to major routes. Welcome Home! 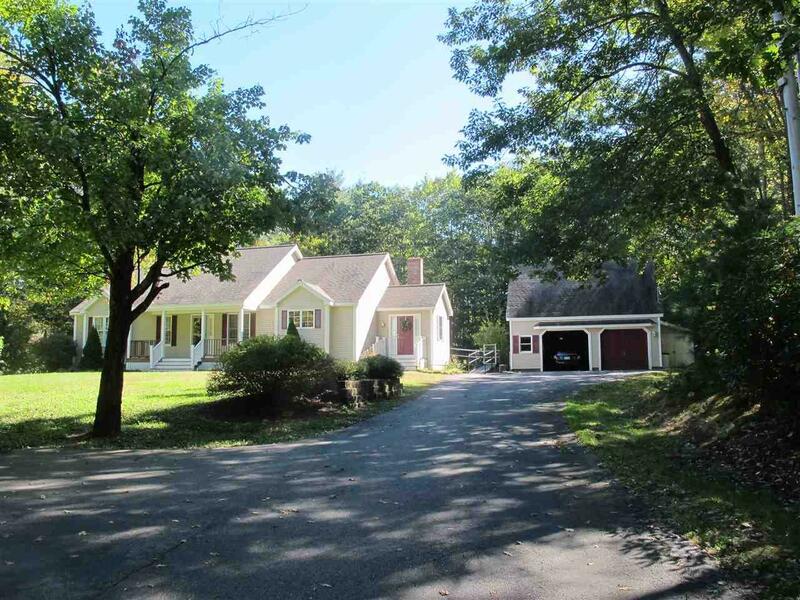 Spacious and Sunny Cape nicely sited on 2.57 country acres in popular neighborhood. This oversized, open concept cape is filled with natural light boasting great working kitchen with white cabinetry, quartz countertops, breakfast bar & eating area w/atrium door to private backyard, expansive LR with gas stove for those chilly nights, wonderful southern yellow pine floors throughout the first floor, 1st floor bedroom or office with separate 3/4 bath, 1st floor laundry in the mudroom, full bath on the 1st floor, two large bedrooms on the 2nd floor w/eave access & open computer nook & skylight & versatility. Well maintained home with generator included. 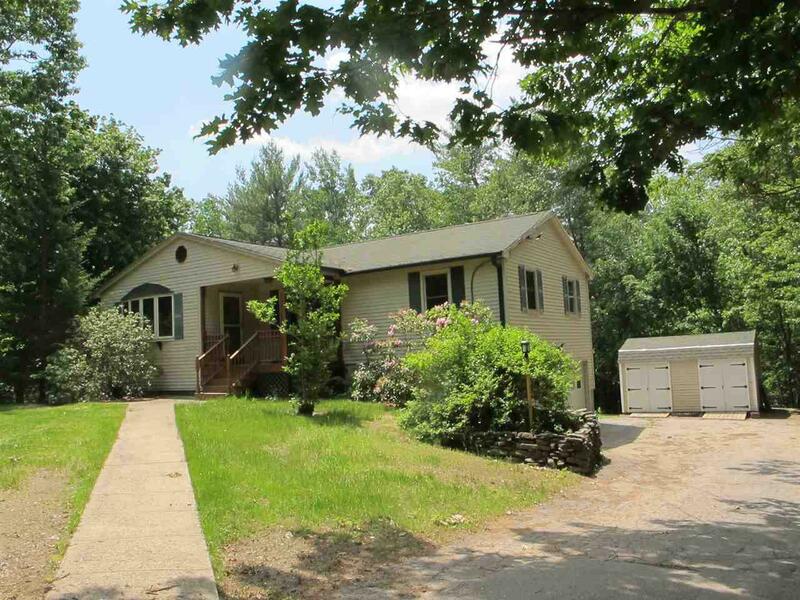 Nice lot bordered by trees & brook, patio area, 2 sheds & room for a garage. Great opportunity to add your personal touches and build more equity. Don't miss this opportunity. Welcome Home! Picture perfect country cape with studio apartment framed by lovely landscaping & flowering rhododendron. This charming home boasts spacious eatin kitchen with painted cabinetry, wainscoting & separate dining area, front to back LR w/hardwood, brick FP and soapstone woodstove for those chilly nights & picture window for birdwatching, 1st floor office/den that could be a 1st floor bedroom, generous master with skylight, cheerful family bath, 2 additional bedrooms, skylights, LL playroom/FR and additional workspace in the LL. Charming breezeway to oversized attached garage, expansive screened porch and deck overlooking lovely backyard great for childplay, gardening & communing w/nature. Cute efficiency apartment over the garage w/separate entrance rents for $650./month. Main house has 2104 sq.ft./apartment 288 sq. ft. Well maintained with many updates over the years, efficient Buderus boiler & hybrid water heater, generator ready & more. Rustic garden shed & large yard loaded with flowering shrubs. Popular neighborhood in Lee center and steps to Mast Way Elementary. 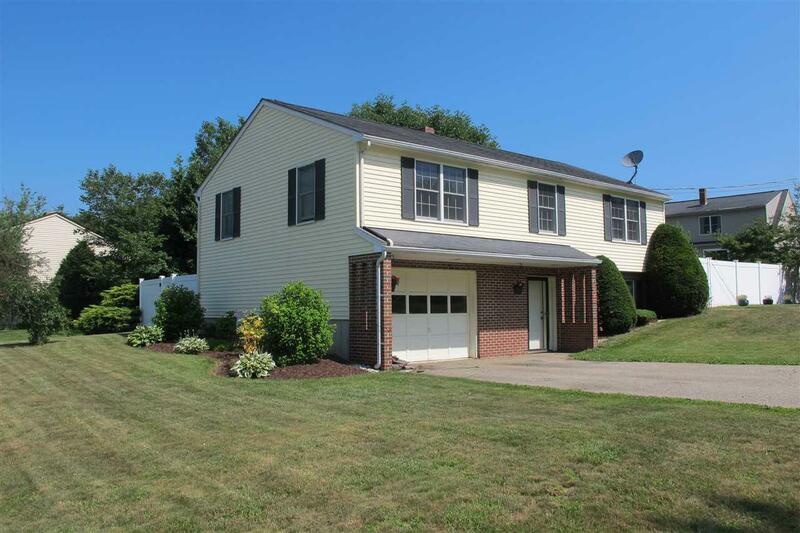 Beautiful Colonial perfectly sited on well manicured lot in desirable neighborhood. Filled with natural light, this wonderful home boasts spacious eatin kitchen w/quartz counters, tile, SS appliances, breakfast bar & dining area w/sliders to deck overlooking great backyard & open to family room, charming dining room with hardwood open to LR, 1st floor laundry in the tiled 1/2 bath, gracious two story foyer w/open staircase to 2nd floor, generous master w/ tiled 3/4 bath & walk in closet, tiled family bath, two more bedrooms with ceiling fans and neutral decor throughout. Efficient propane FHA heat & on demand hot water, central air, sprinkler system throughout the house, whole house generator, irrigation system for the lawn & the list goes on. 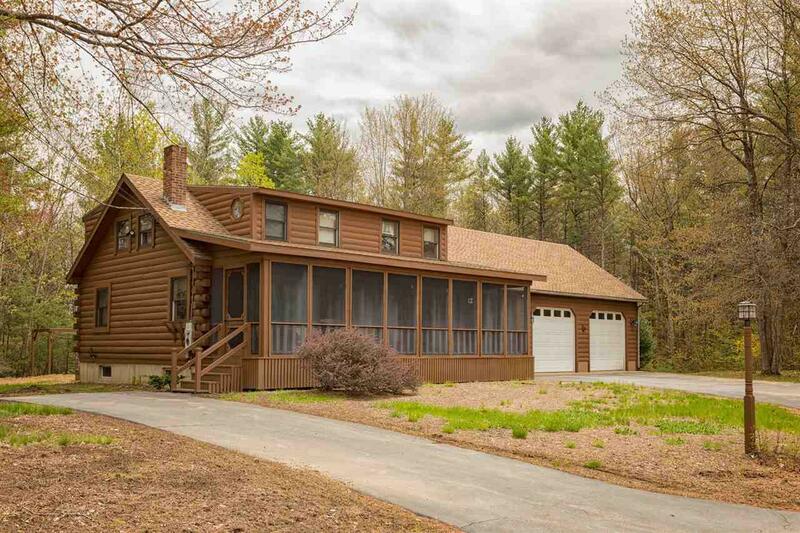 Small community with 16 acres of open space & walking path & access to Pow Wow Pond. Welcome Home! 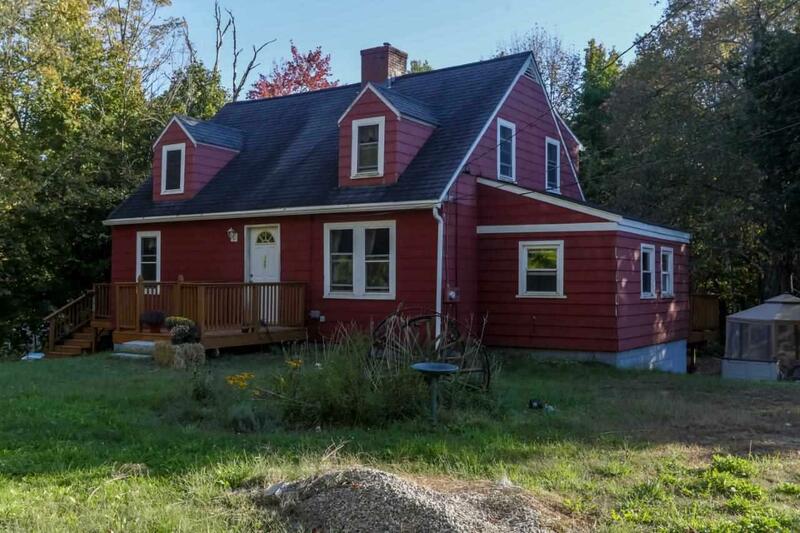 Wonderful 3 bdrm, 1.5 Bath Saltbox Cape on .34 acres. Newer appliances in kitchen with breakfast bar, new tile in kitchen and baths, hardwood in living room/dining area and into the formal dining and main entrance. Finished lower level with family/playroom, workout room/office, laundry room, and separate utility room with storage. Fenced in back yard with back deck. New furnace, new metal roof, new flooring in basement, water softener, security system, and more. This home has been cared for and updated. There is a variance for a 2-car garage.